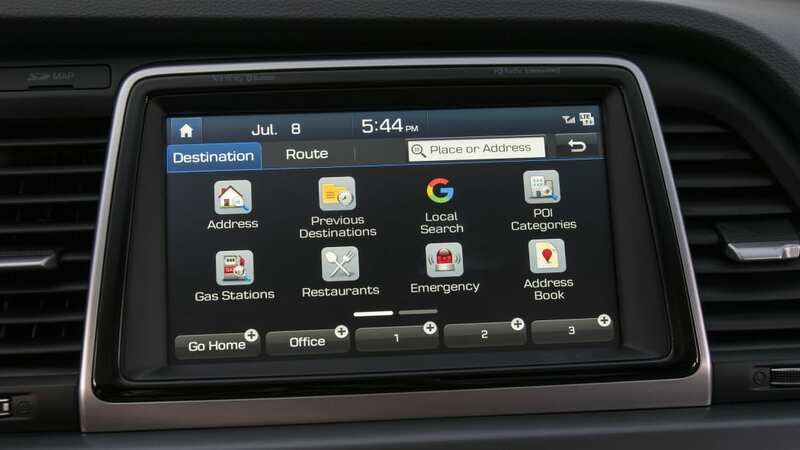 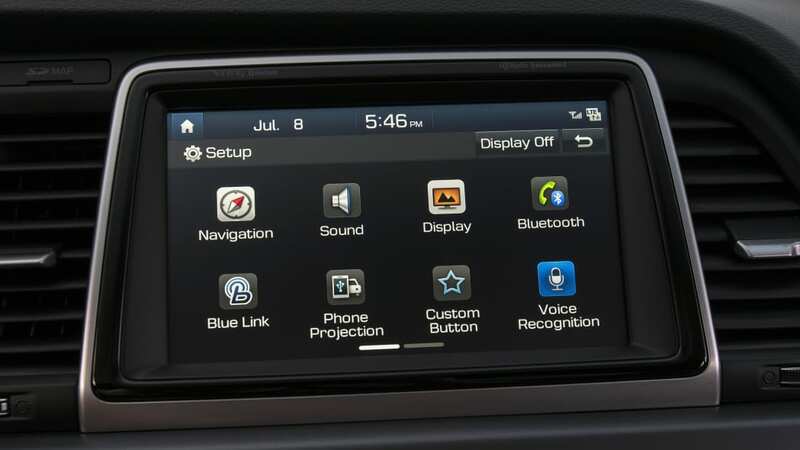 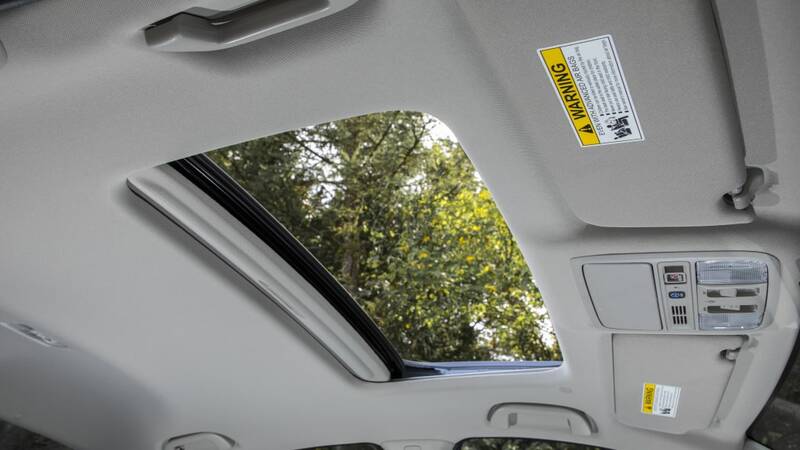 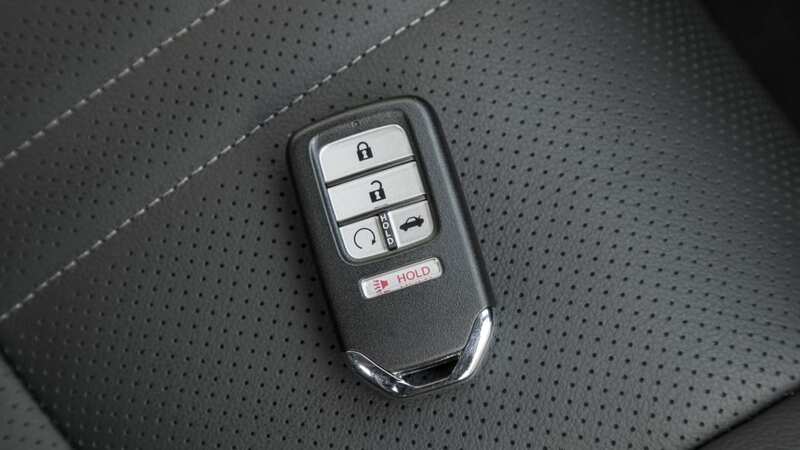 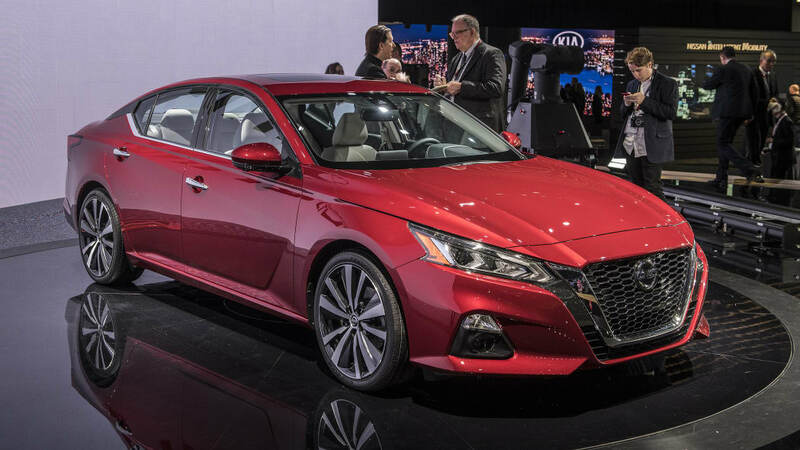 NEW YORK — Midsize family sedans may be losing sales to small SUVs, but hundreds of thousands of the things still left dealerships last year. 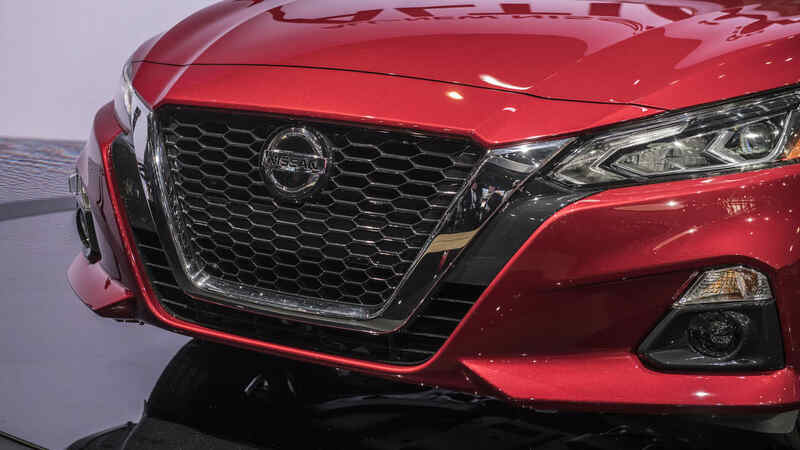 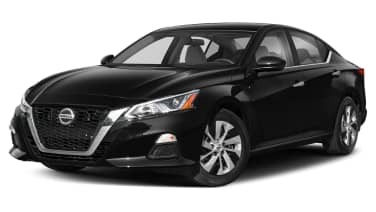 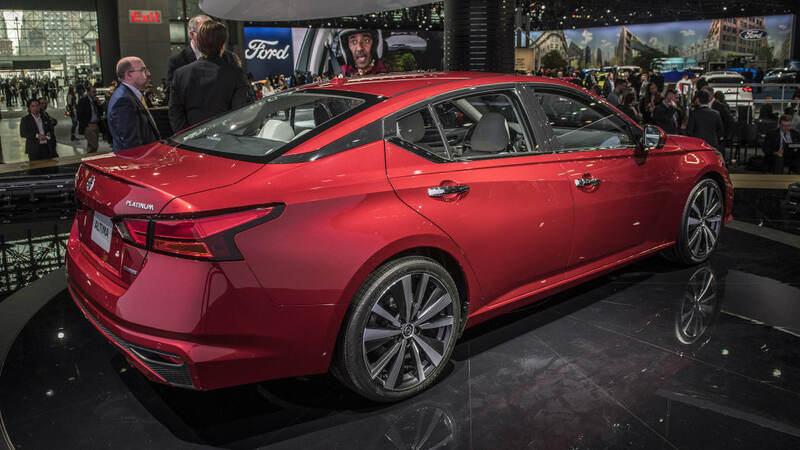 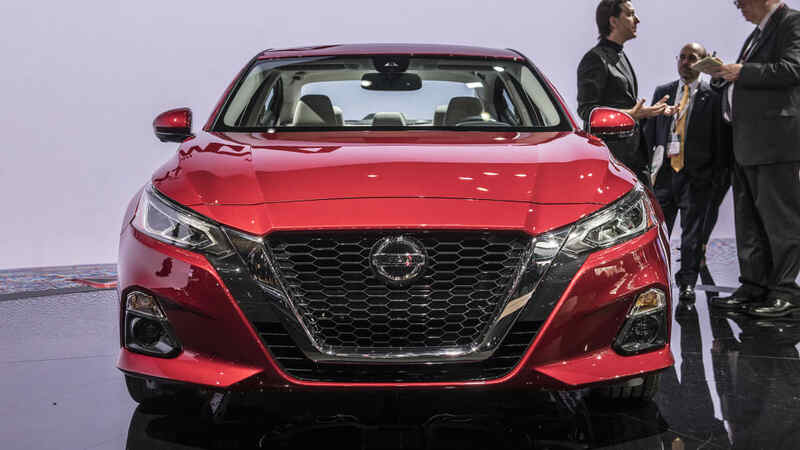 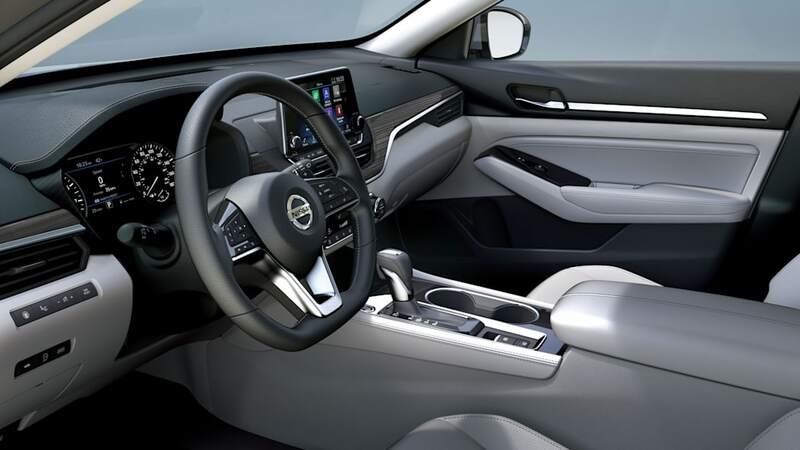 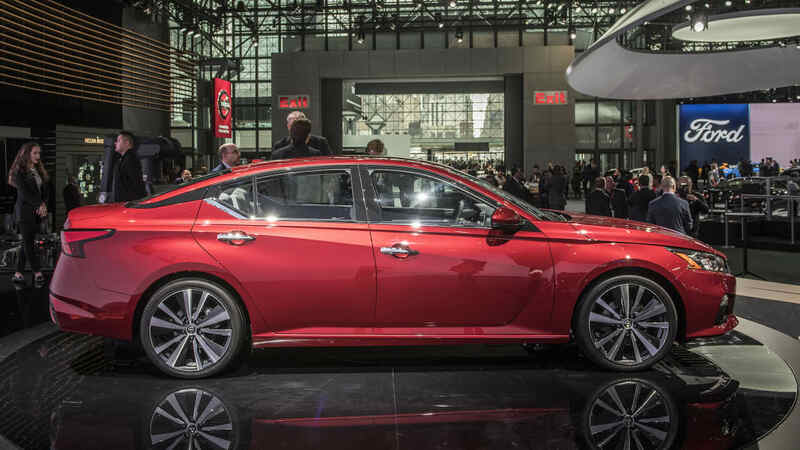 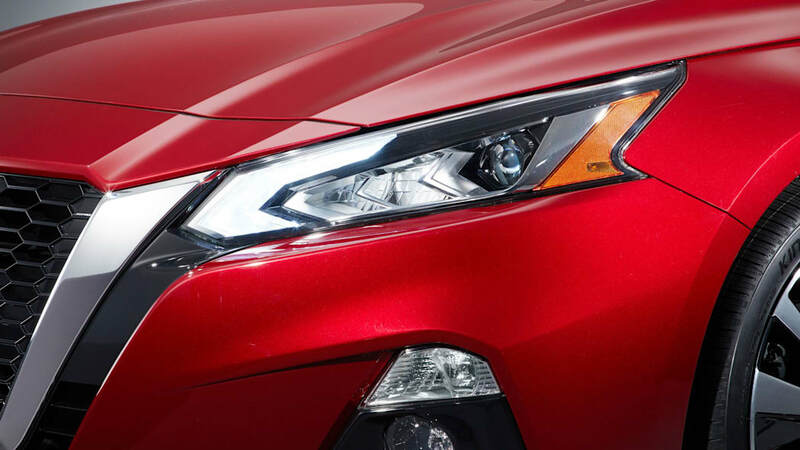 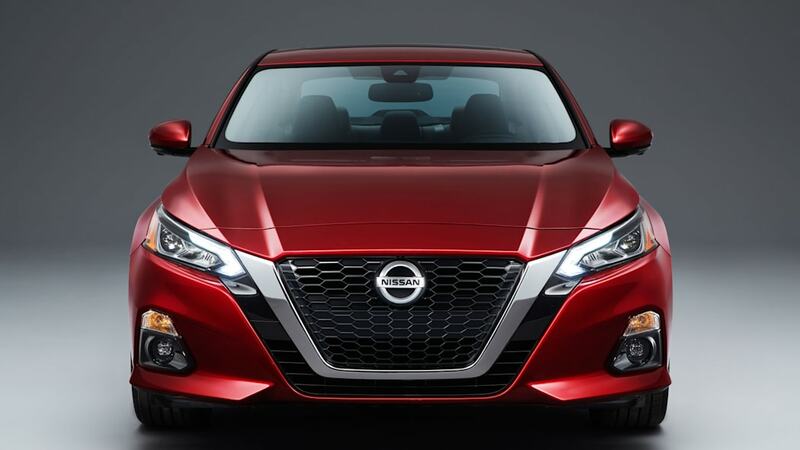 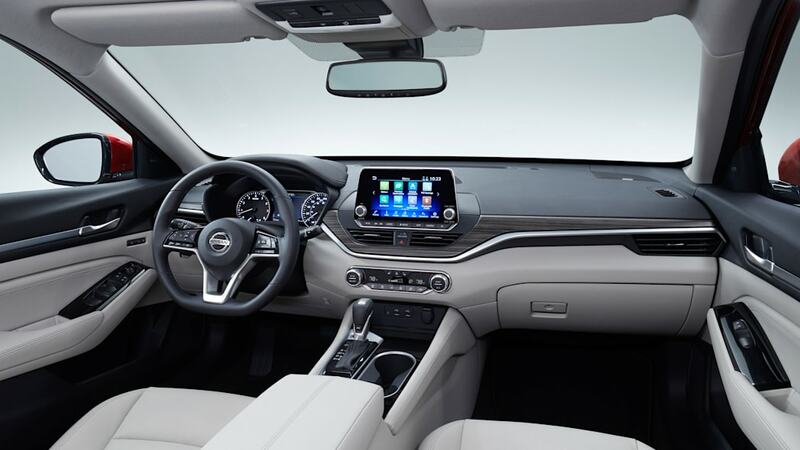 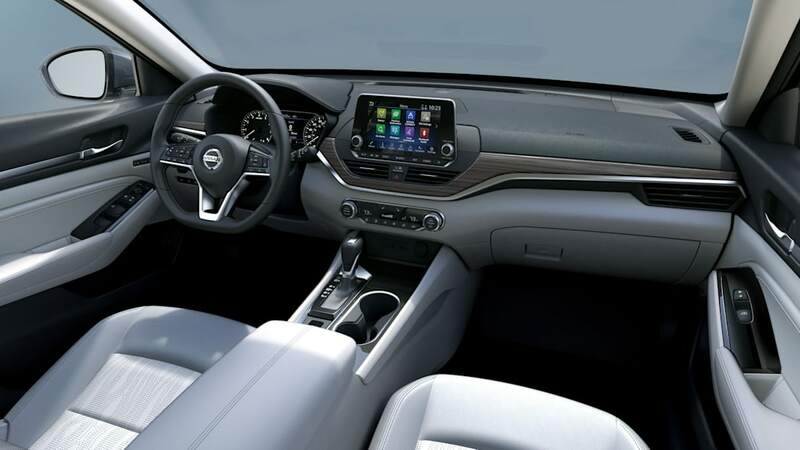 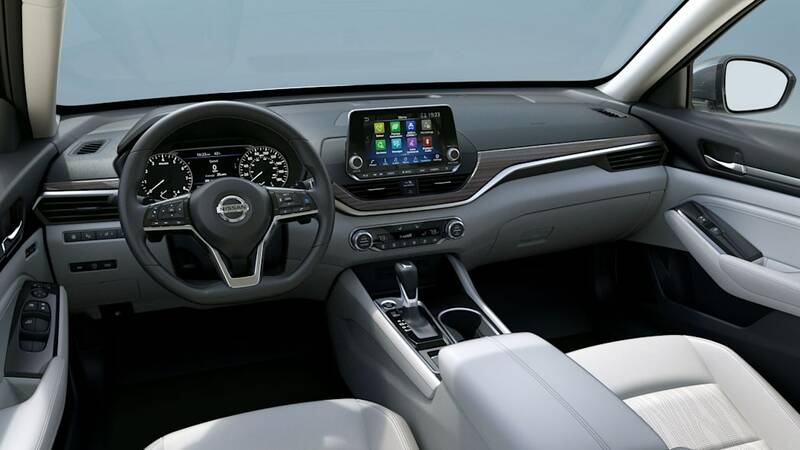 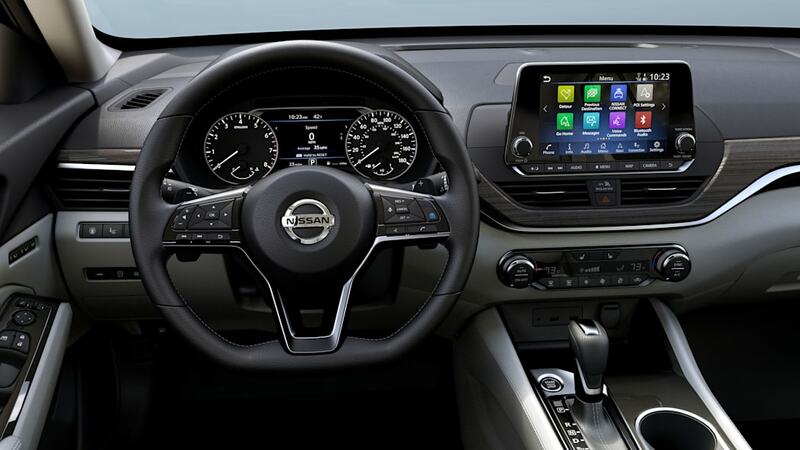 The 2019 Nissan Altima introduced here at the New York Auto Show replaces one of the segment's best sellers, joining a pair of other best-sellers, the Honda Accord and Toyota Camry, which were both redesigned last year. 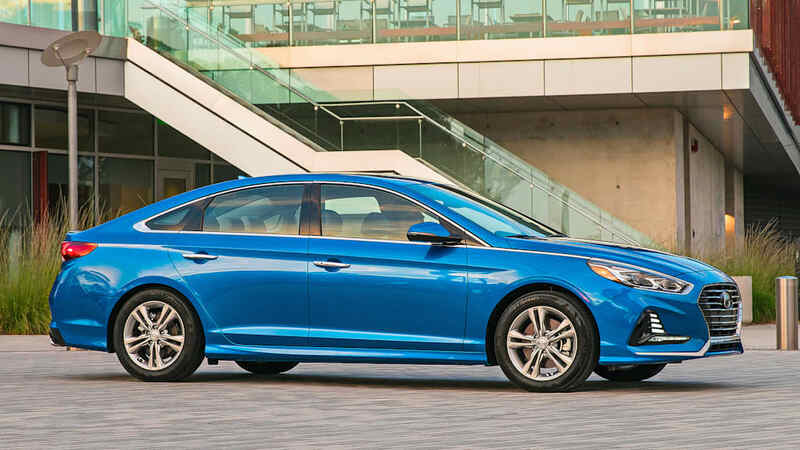 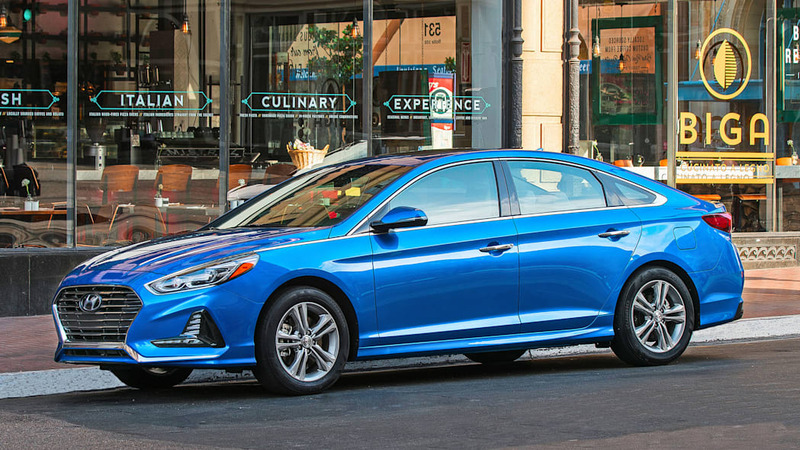 The Hyundai Sonata also received a surprisingly thorough refresh for 2018. 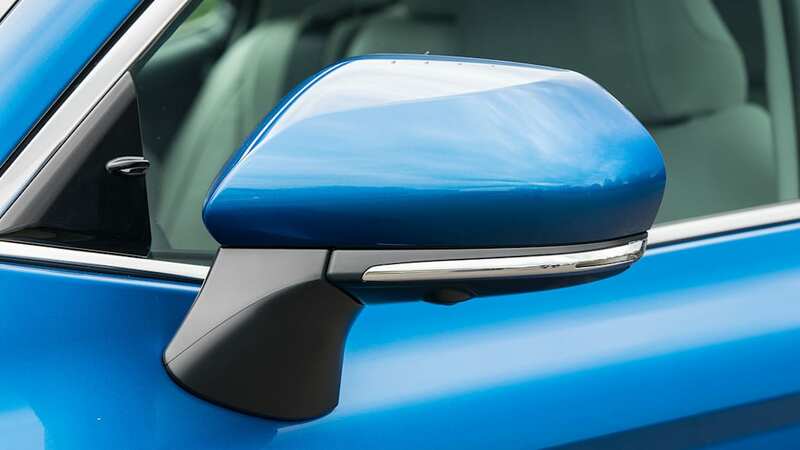 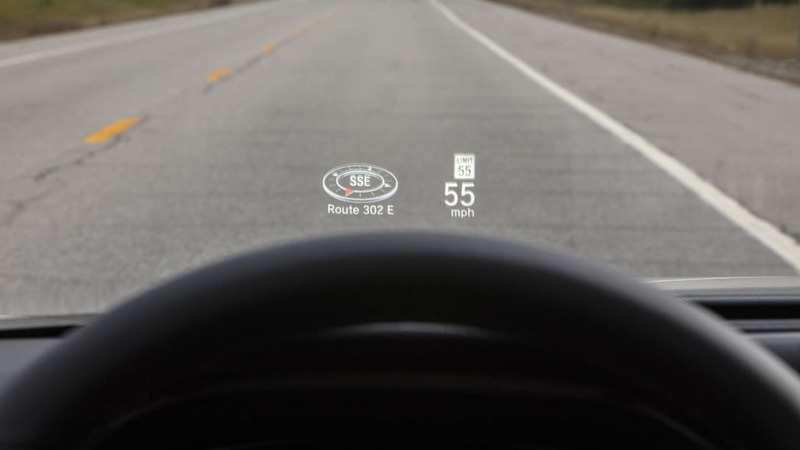 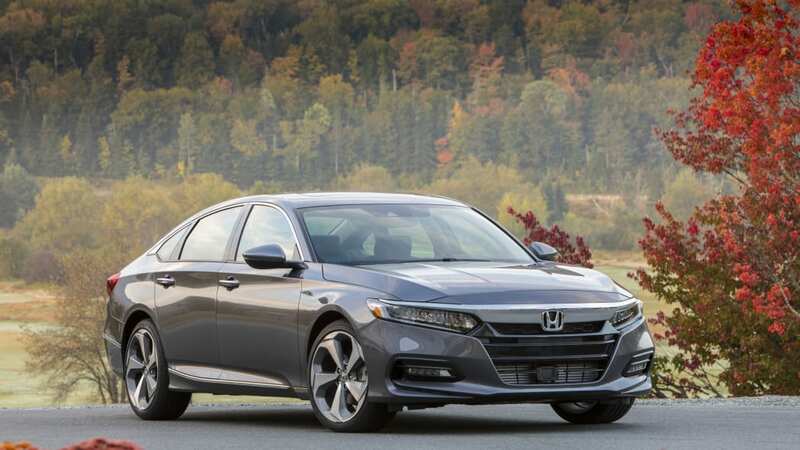 Therefore, the segment is fresher than ever, providing car shoppers who haven't been evangelized by the mighty SUV an excellent group of choices. 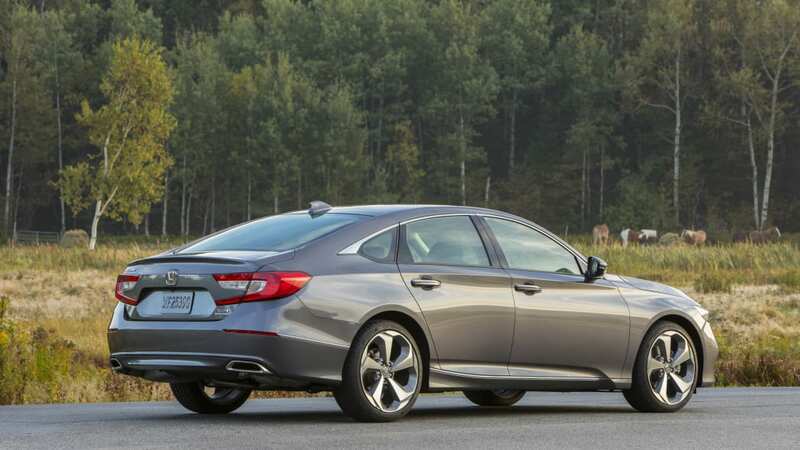 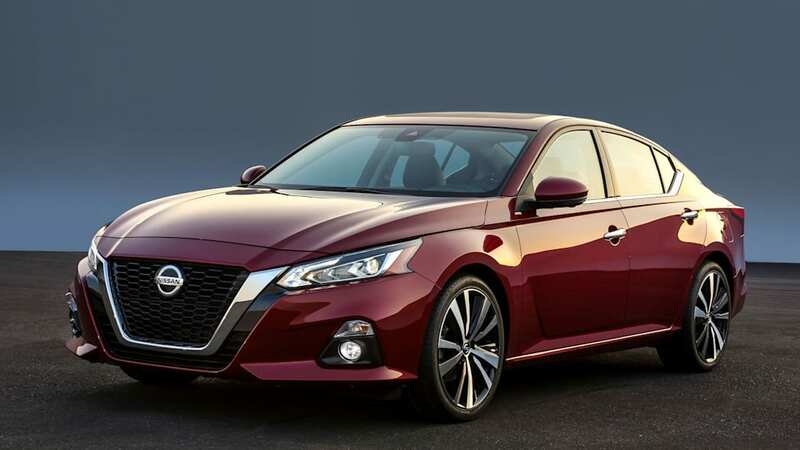 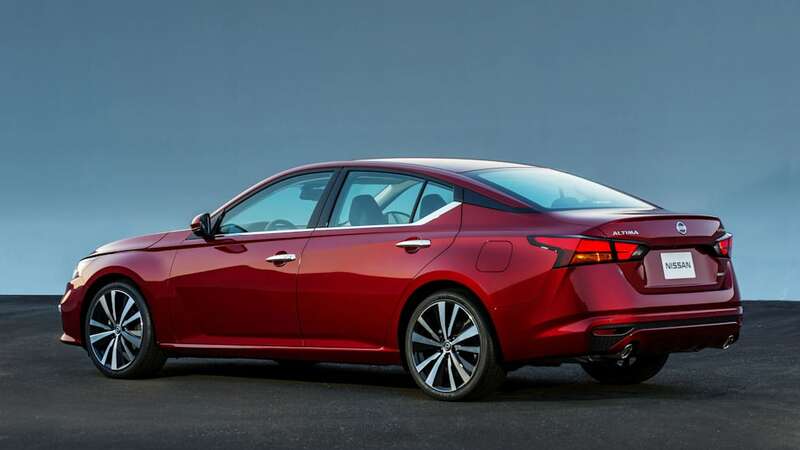 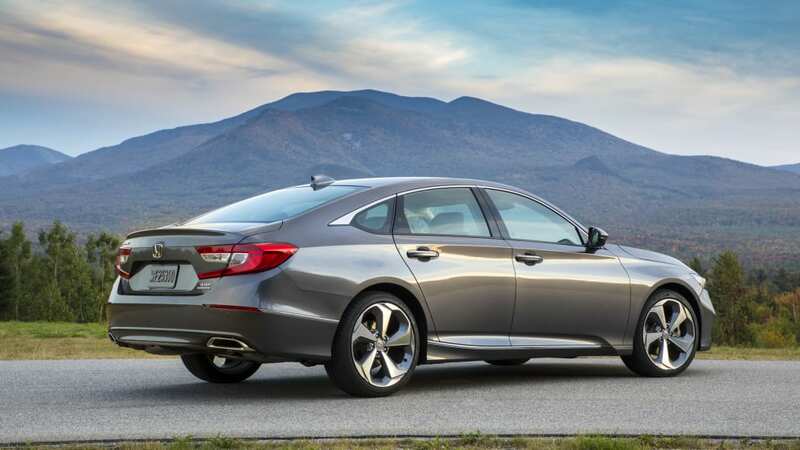 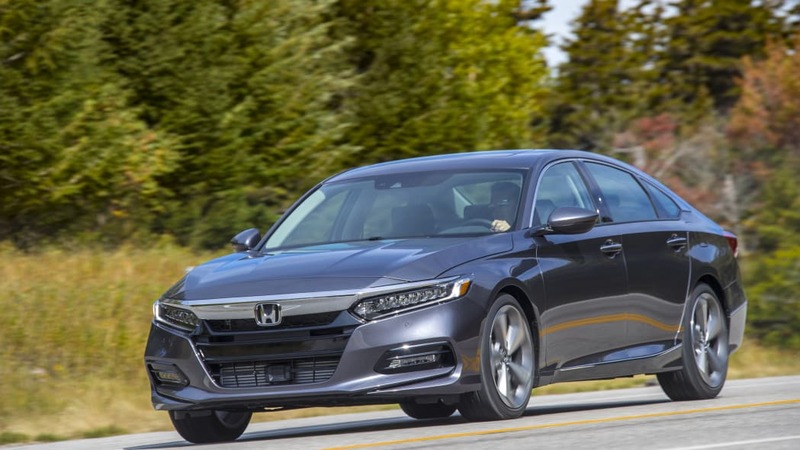 To help them, or you, out in that family sedan search, here's how the new 2019 Altima compares to the 2018 Honda Accord, 2018 Toyota Camry, 2018 Hyundai Sonata, and for reference, its 2018 Altima predecessor. 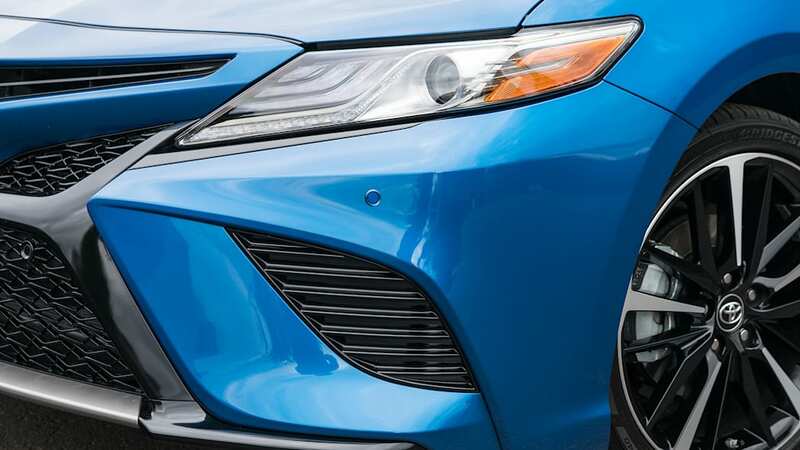 Cue the spreadsheet! 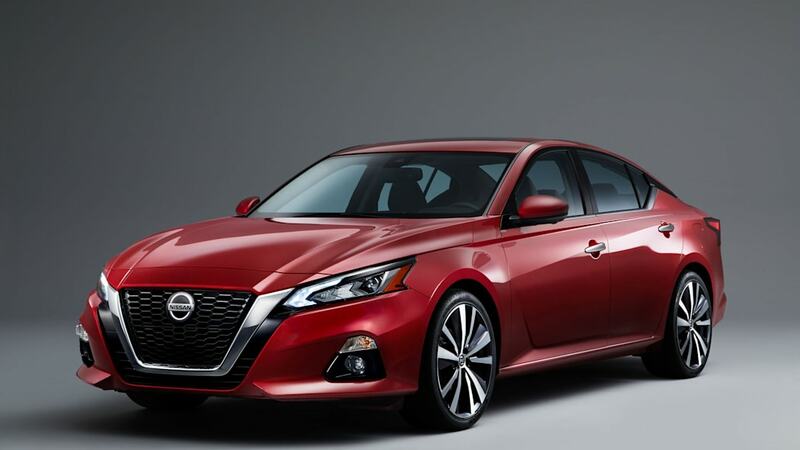 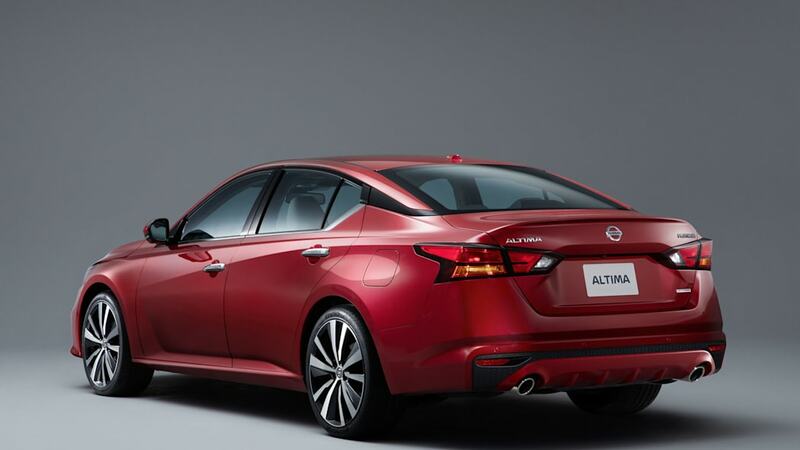 The Altima once again has a 2.5-liter four-cylinder, but Nissan indicates that 80 percent of it is new. 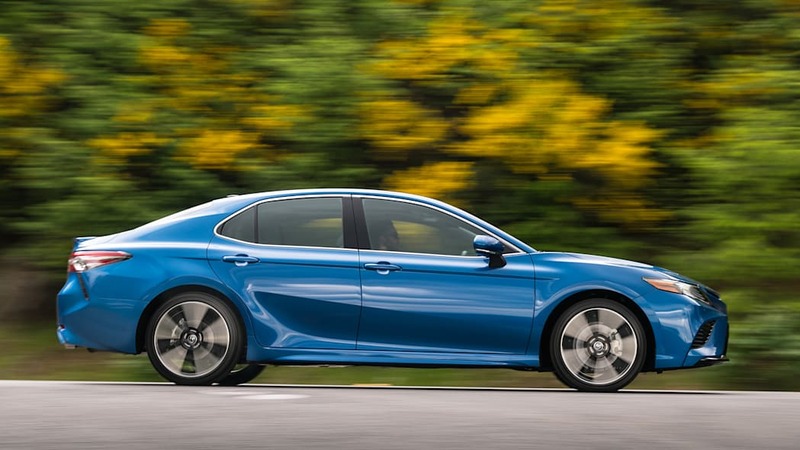 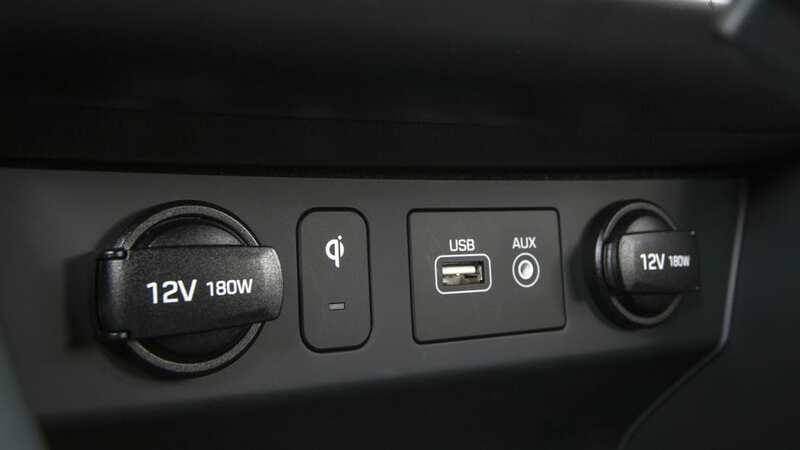 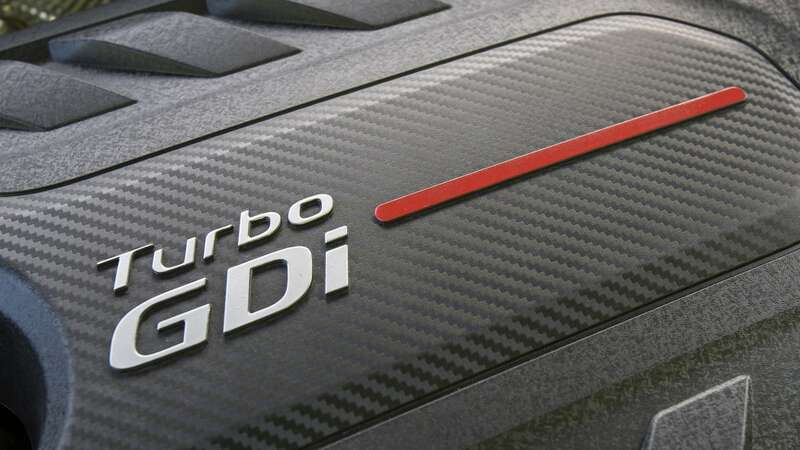 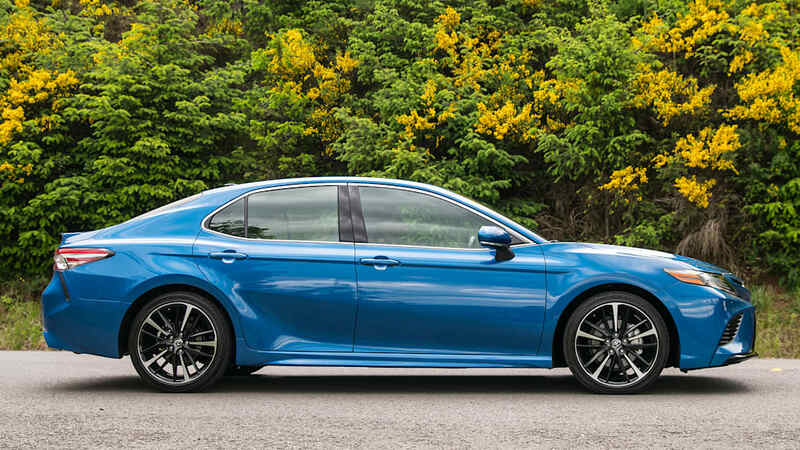 Regardless of its newness, it is more powerful, boasting an extra 9 hp and 3 lb-ft of torque. 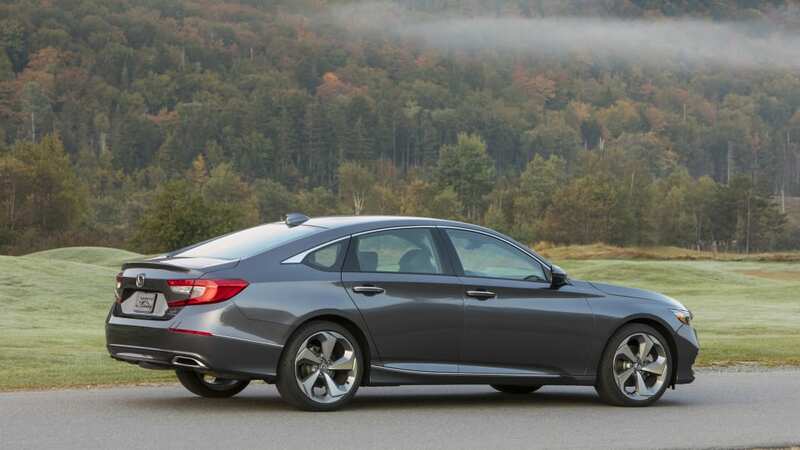 Frankly, that's not much compared to the Camry's and Accord's gains, which also better the new Altima. 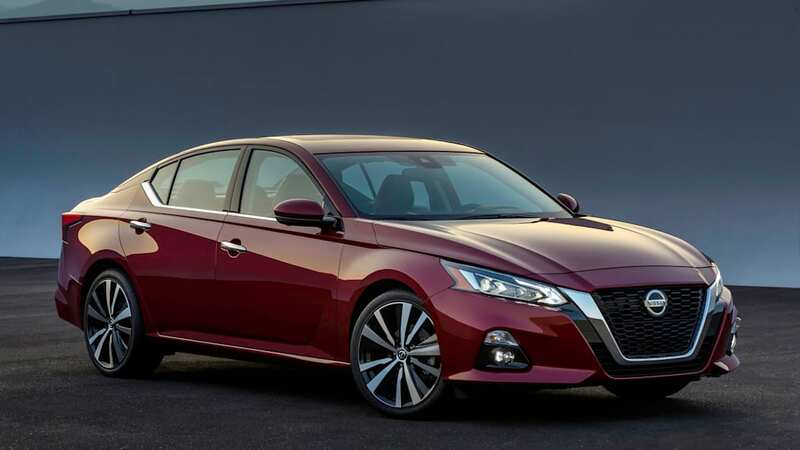 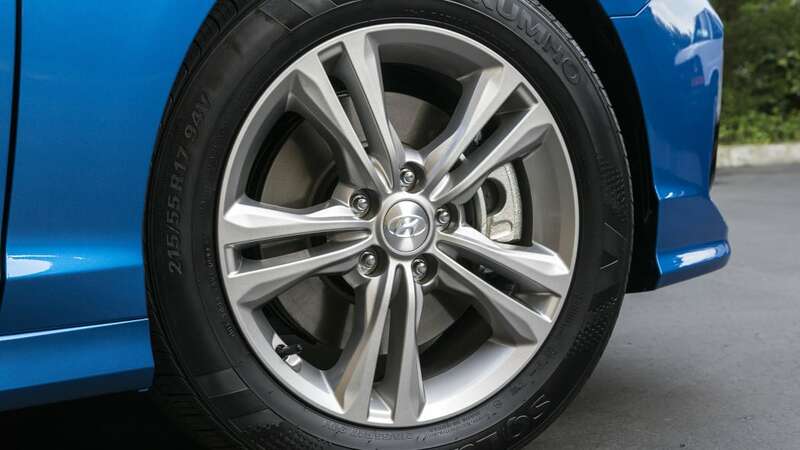 Uniquely, though, the Altima's base 2.5-liter is available with all-wheel drive – something only the Subaru Legacy offers (albeit as standard equipment). 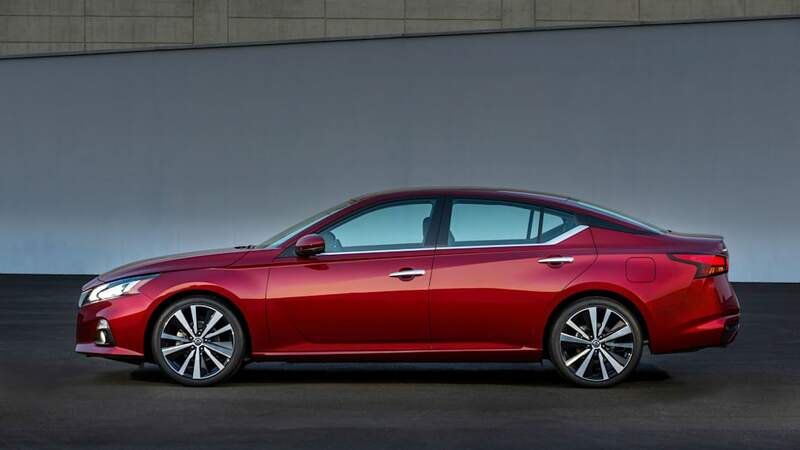 Oddly, all-wheel drive is NOT available with the Altima's bigger 2.0-liter turbo. 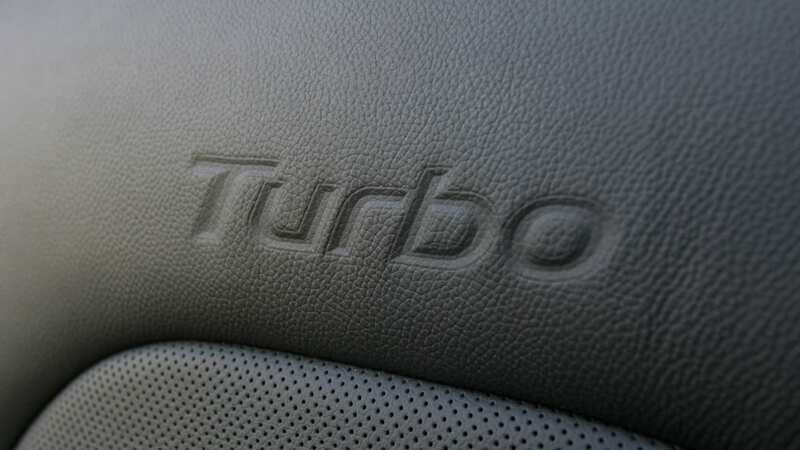 Ah yes, that turbo engine. 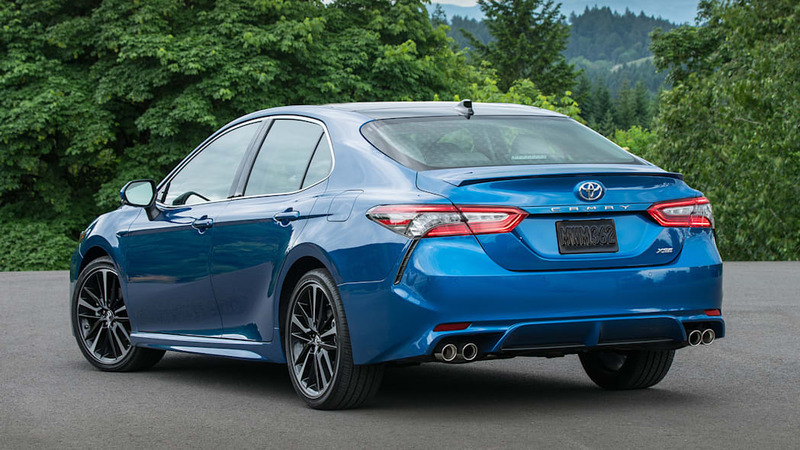 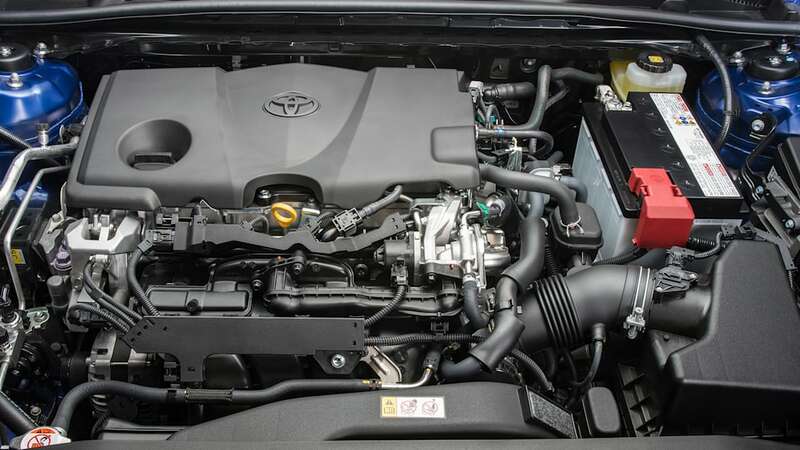 Gone is the familiar 3.5-liter V6, leaving Toyota as the lone V6 hold-out (again, the Legacy is another exception, albeit with a flat-6). 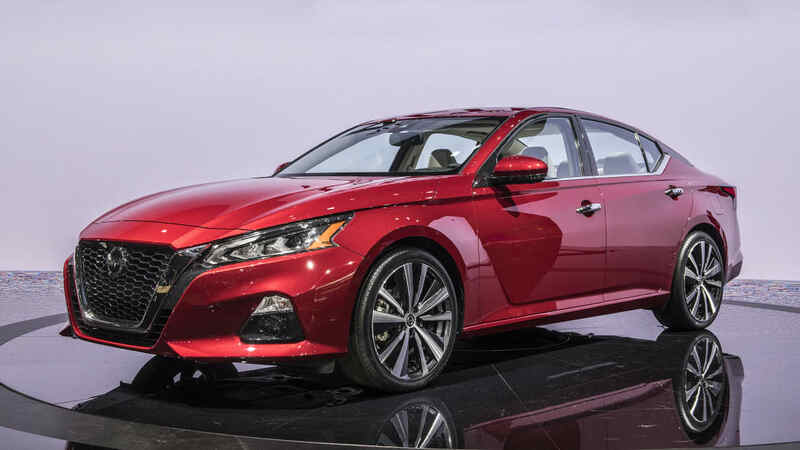 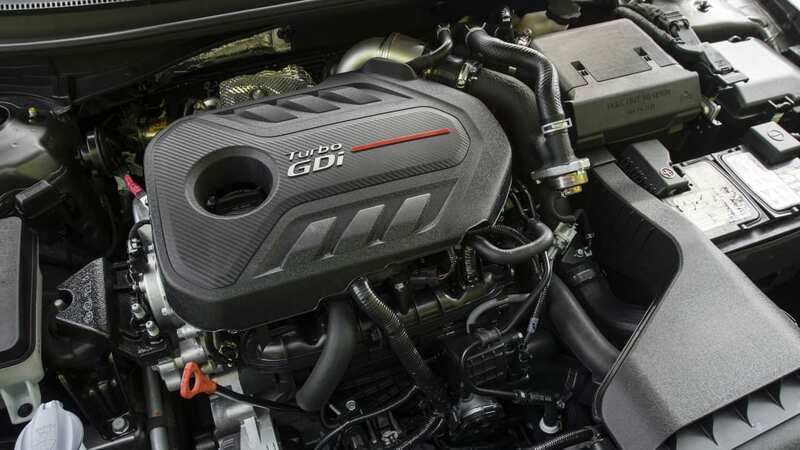 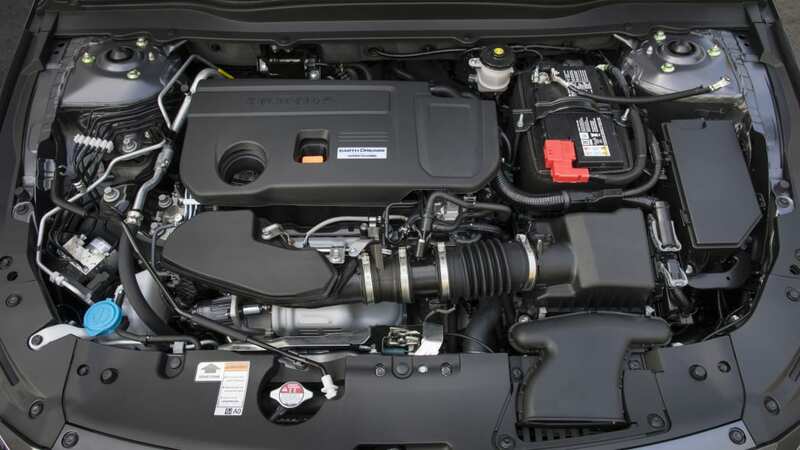 As is typical, the Altima's new 2.0-liter turbo inline-4 produces less horsepower than its naturally aspirated predecessor, but it has considerably more torque. 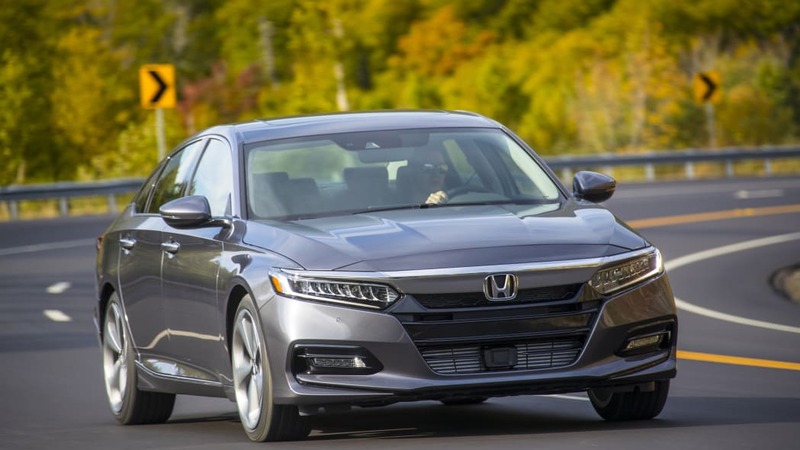 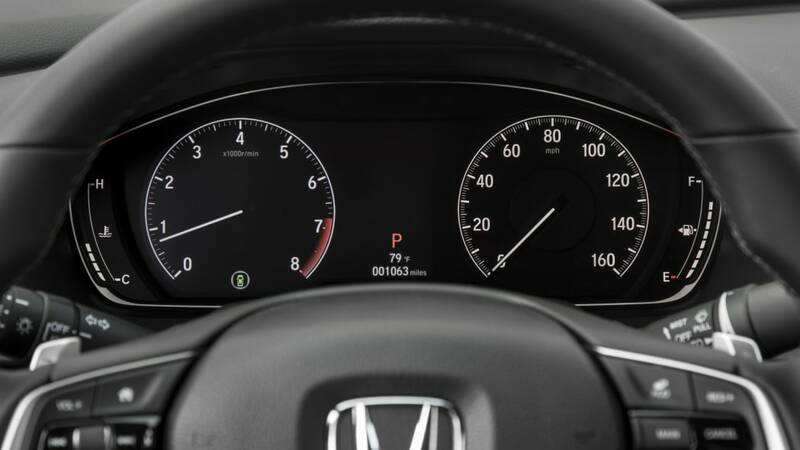 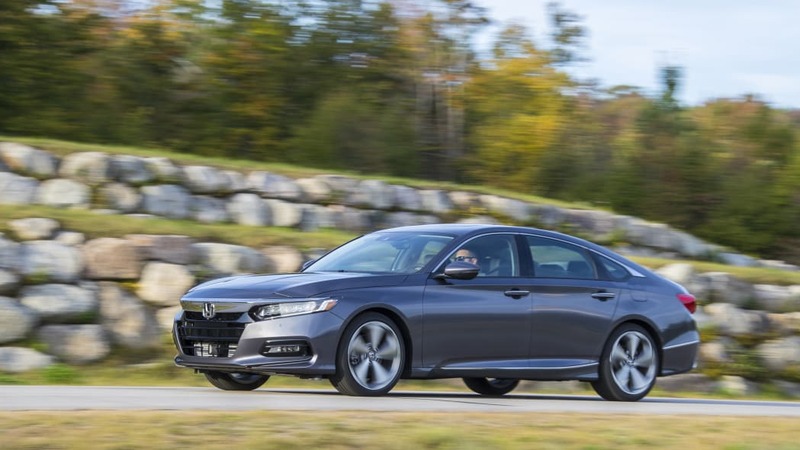 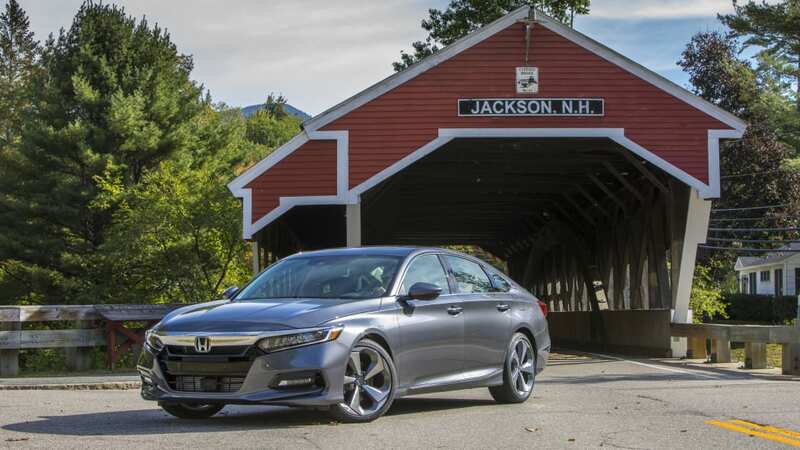 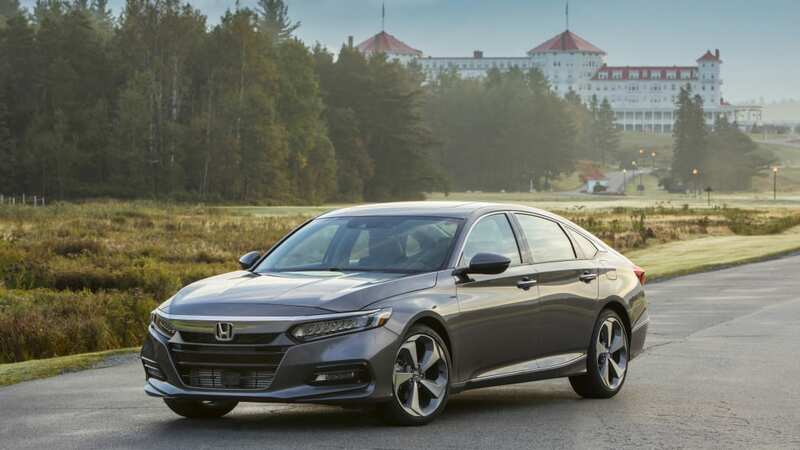 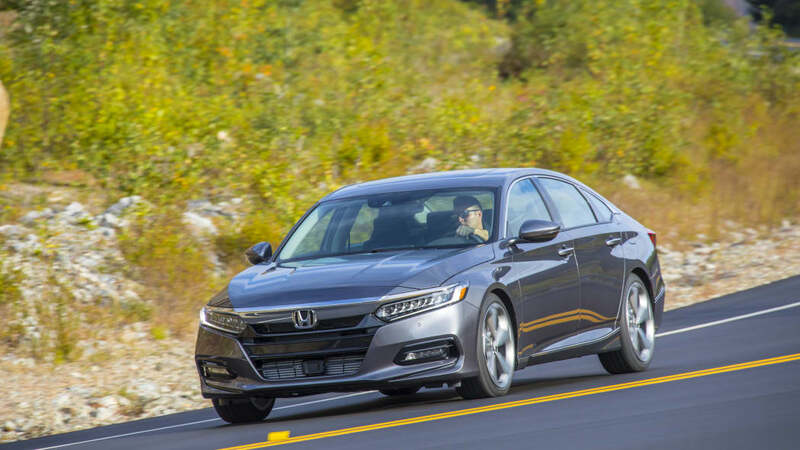 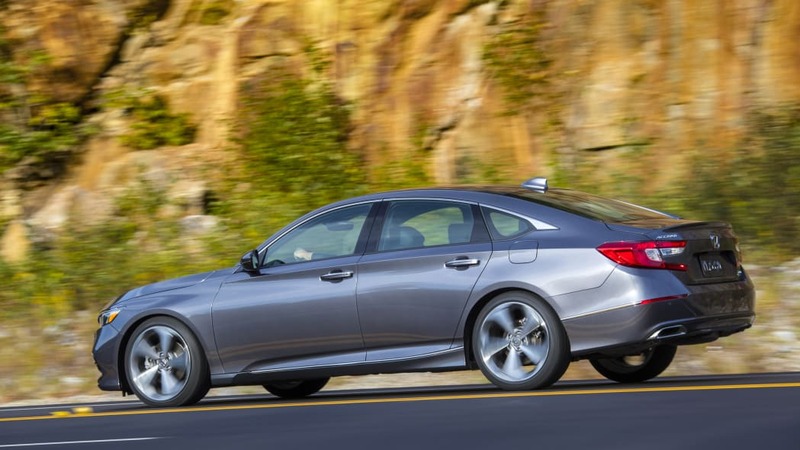 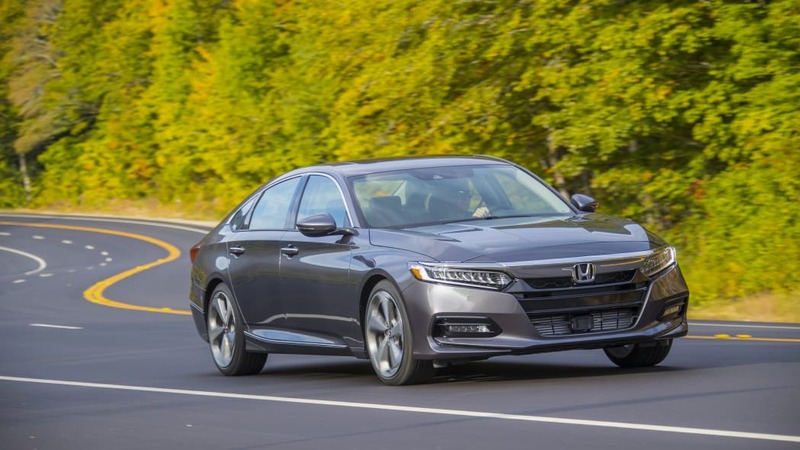 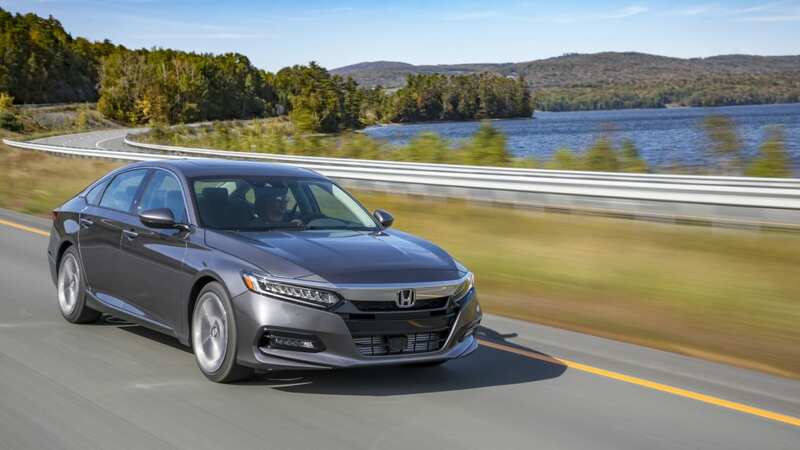 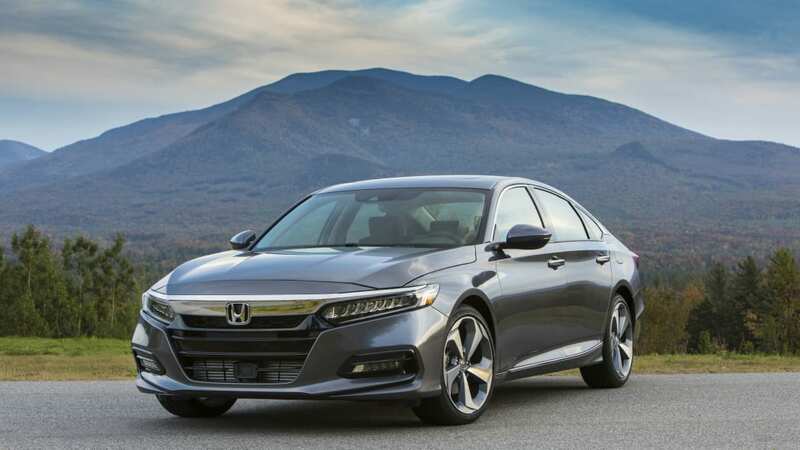 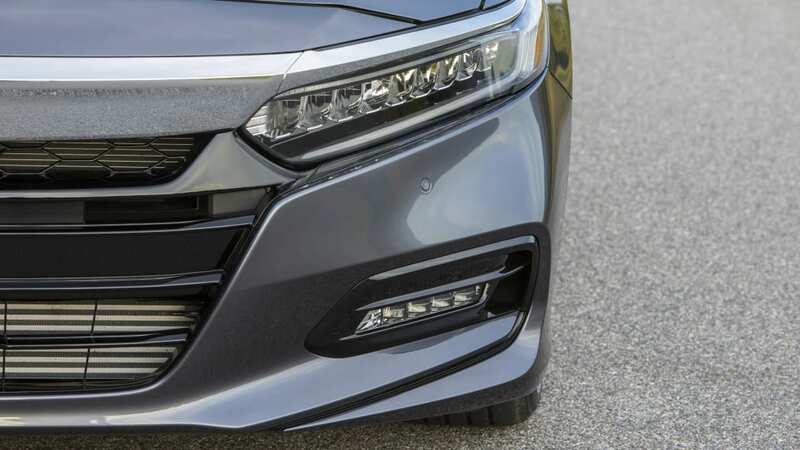 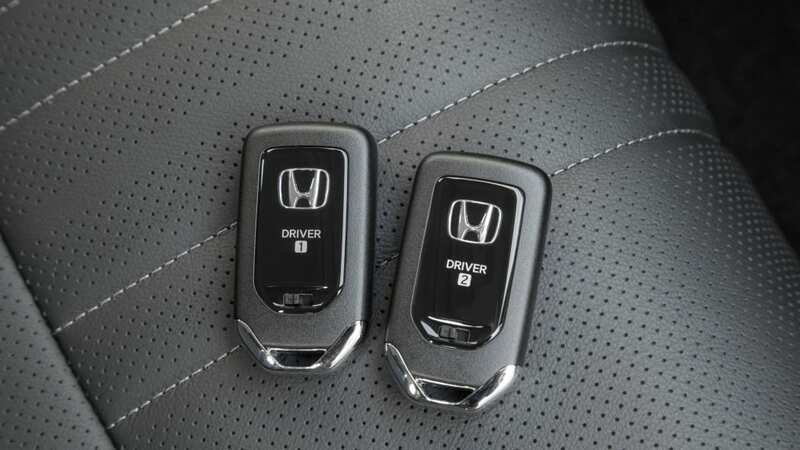 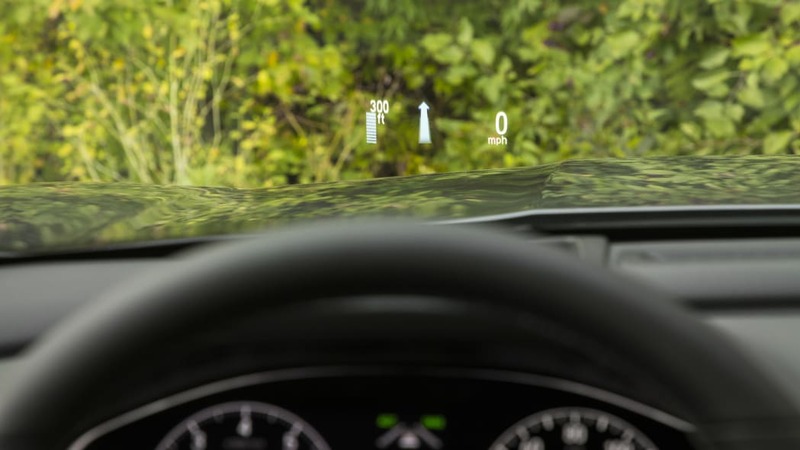 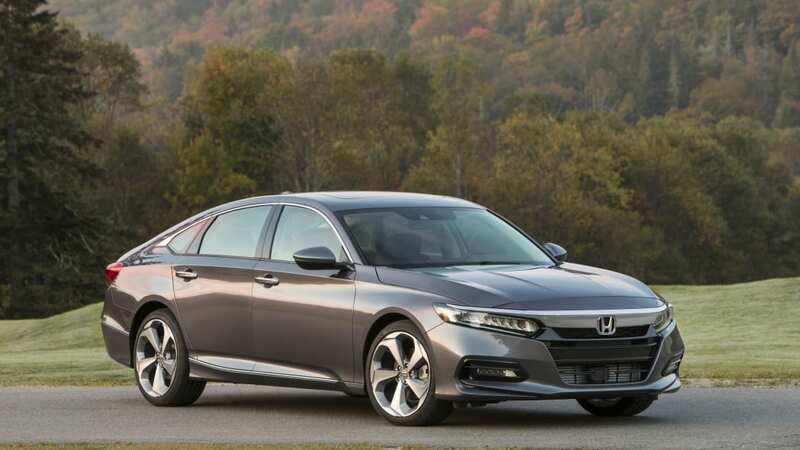 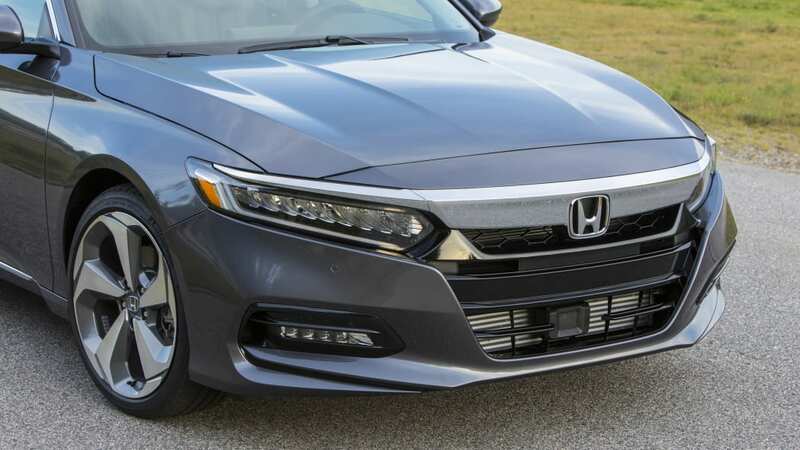 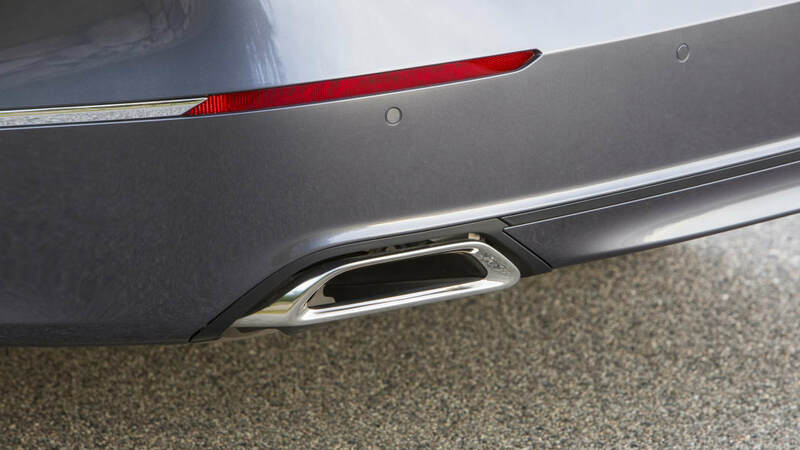 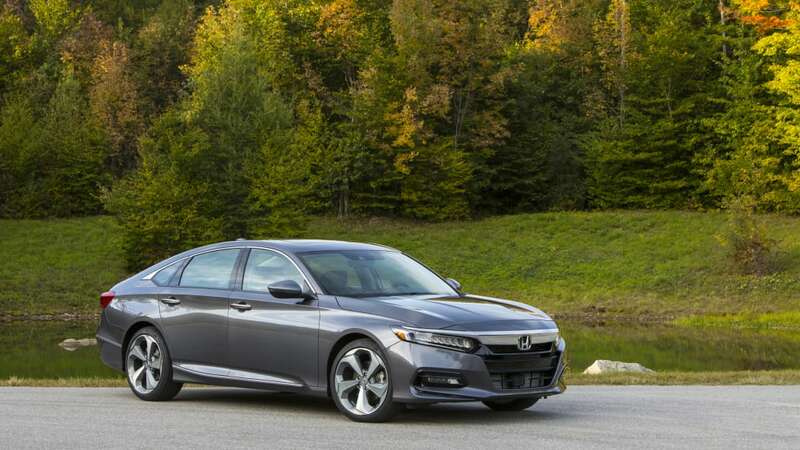 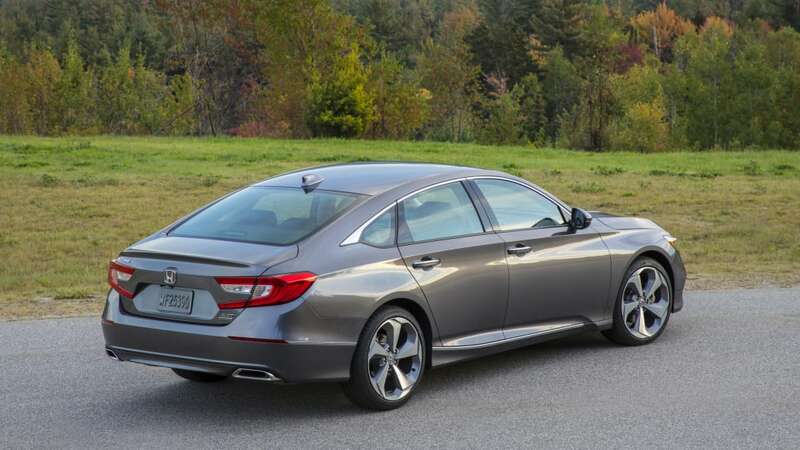 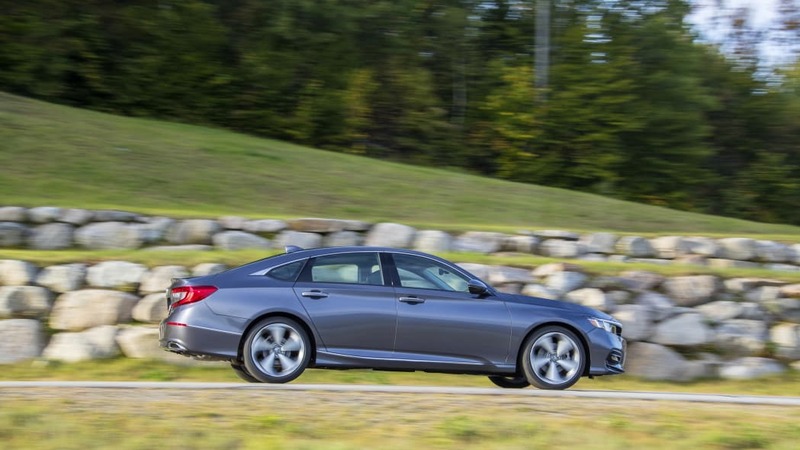 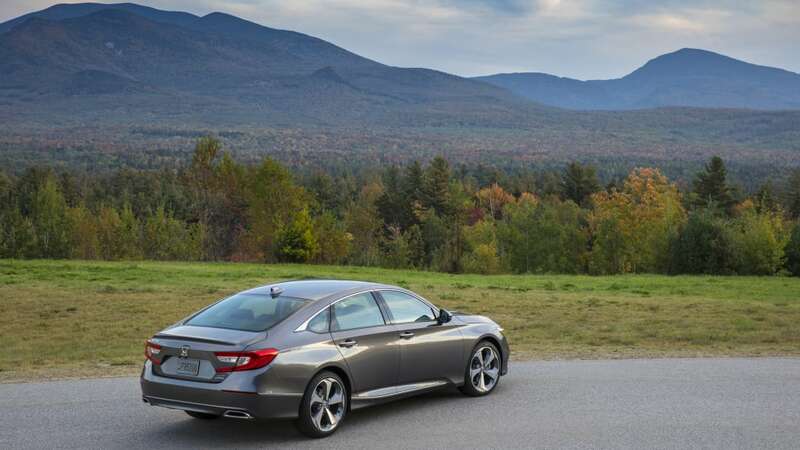 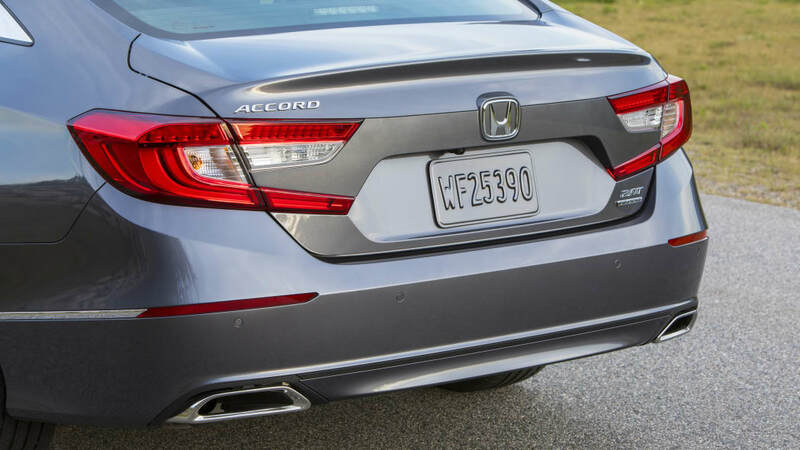 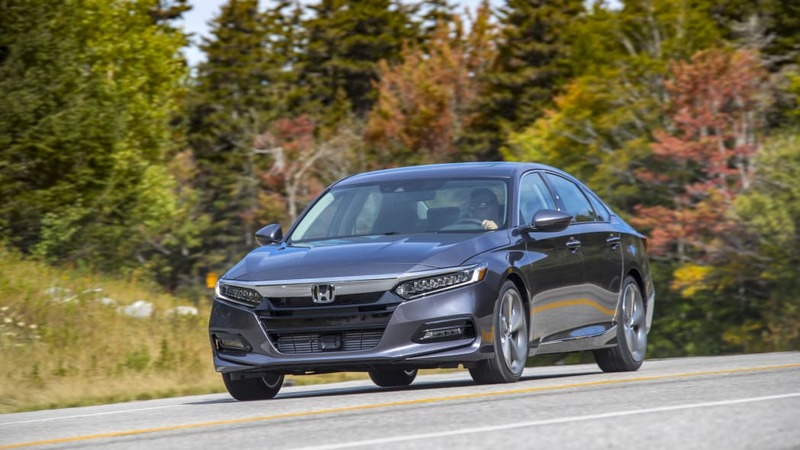 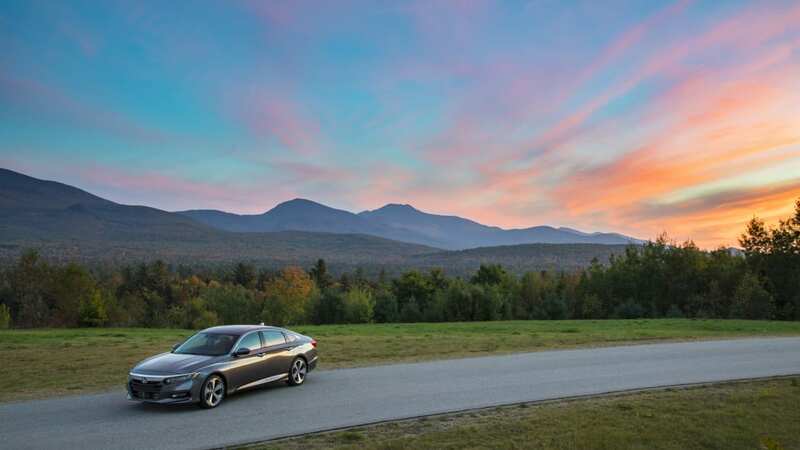 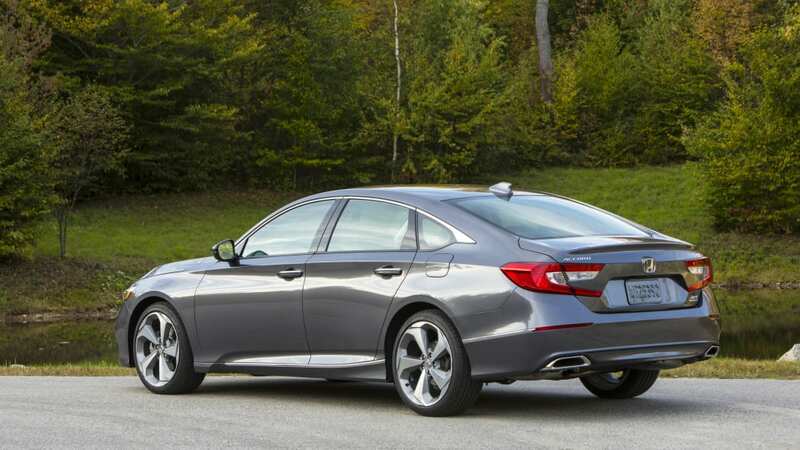 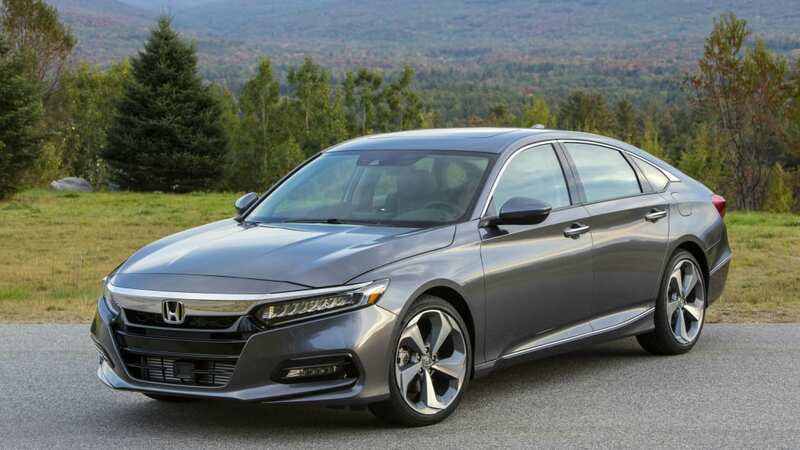 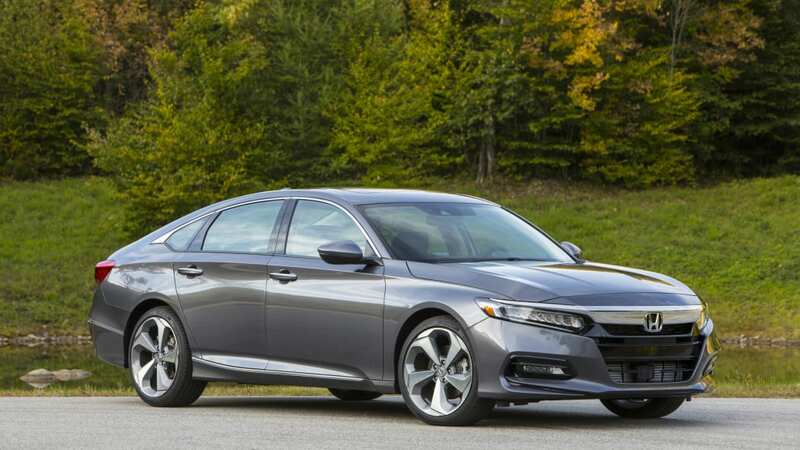 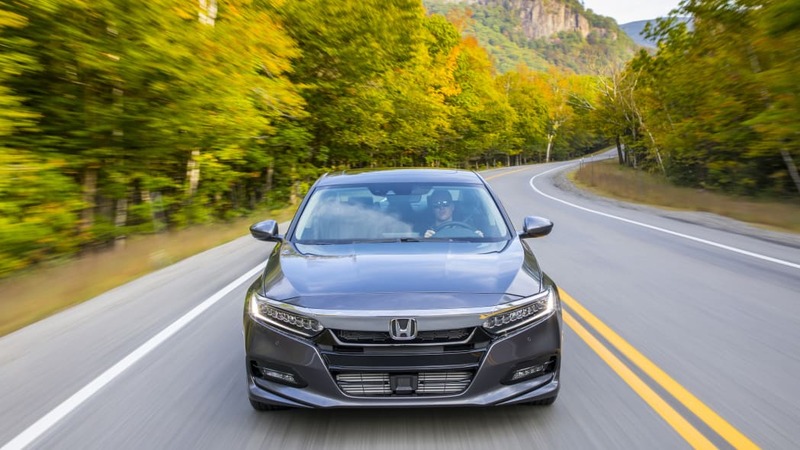 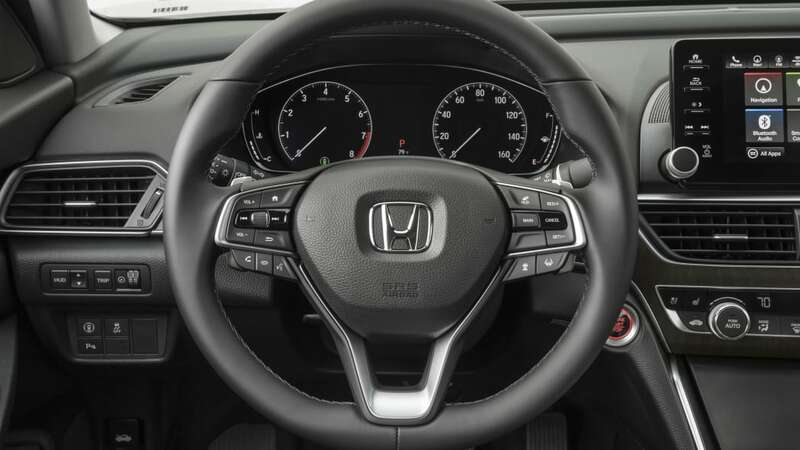 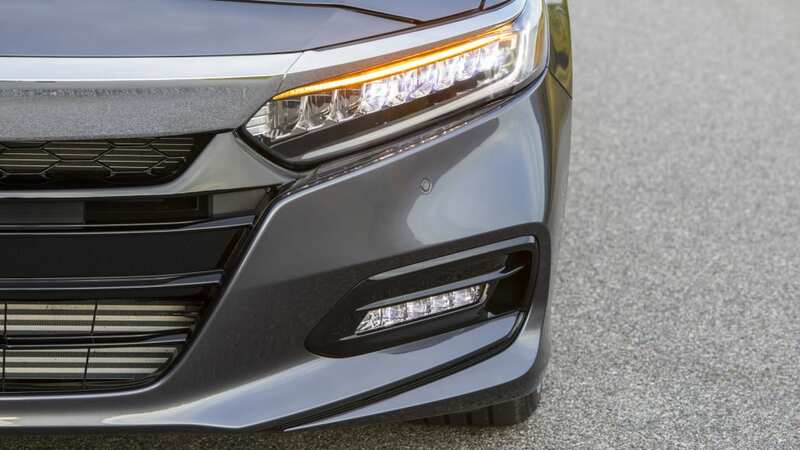 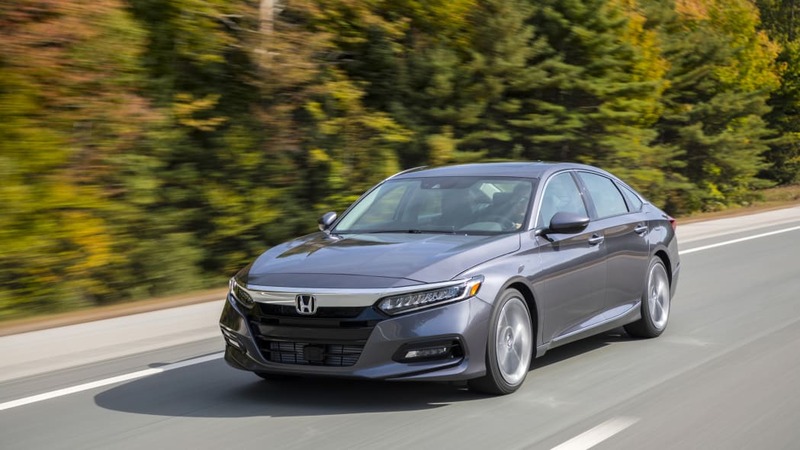 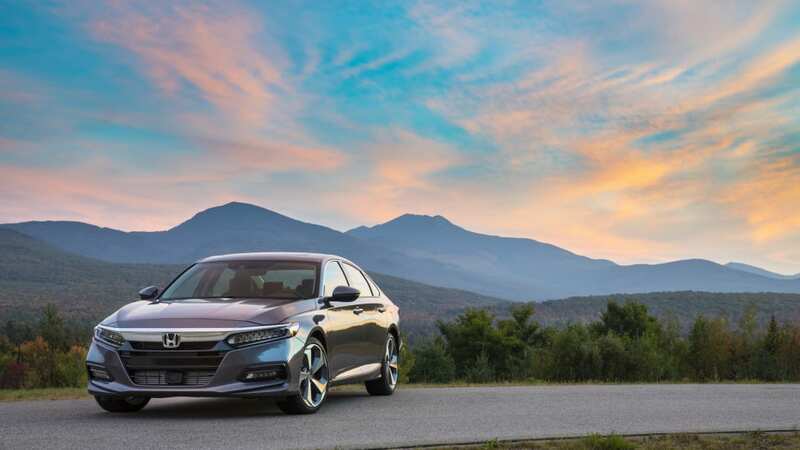 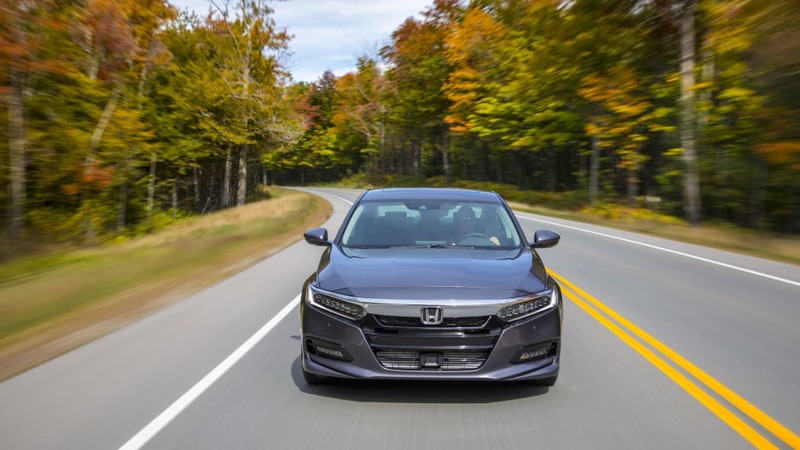 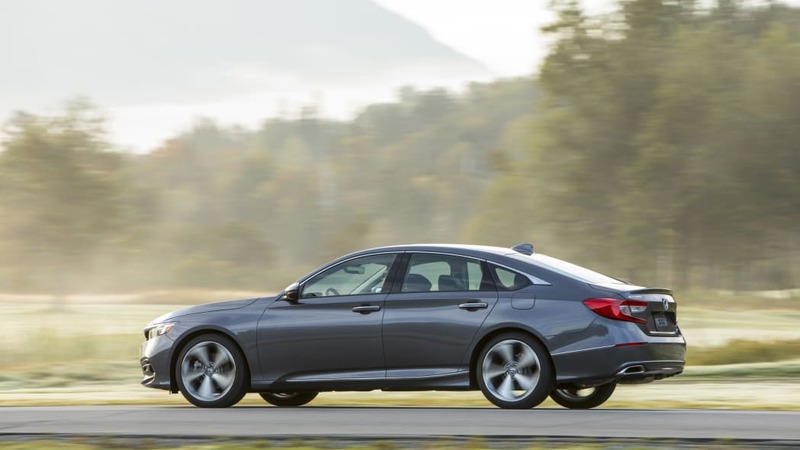 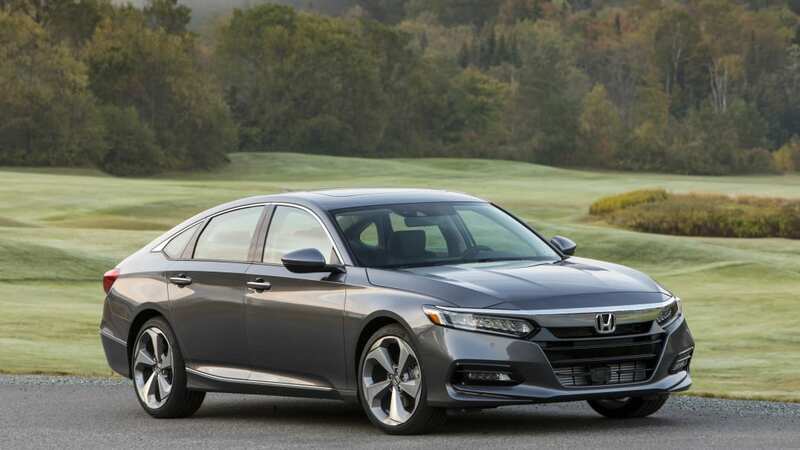 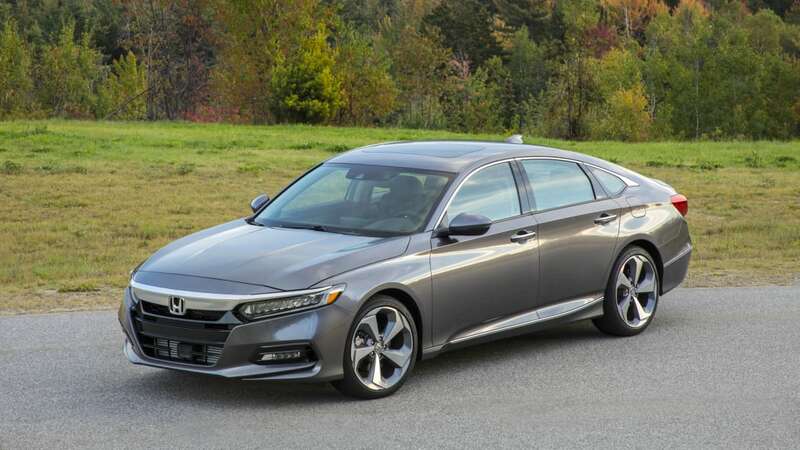 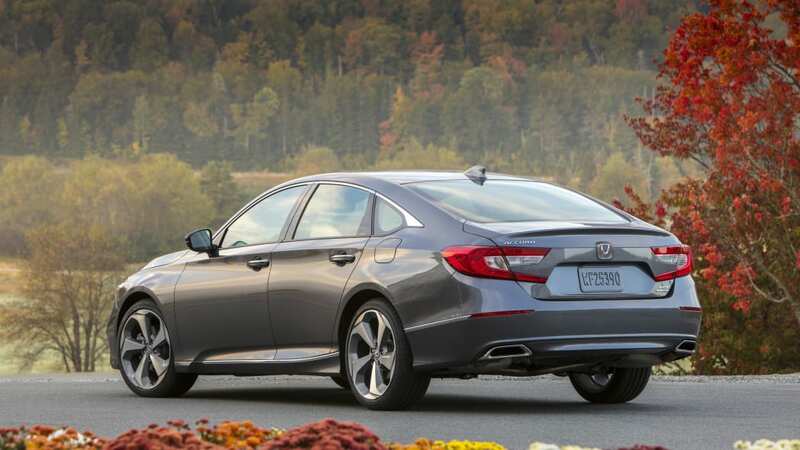 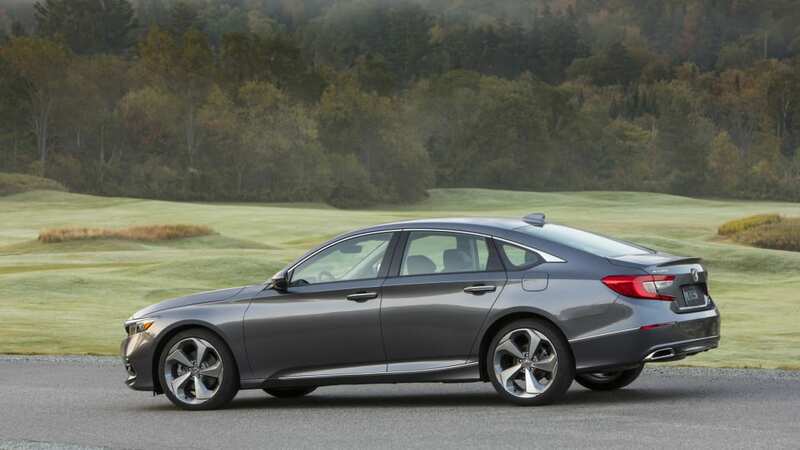 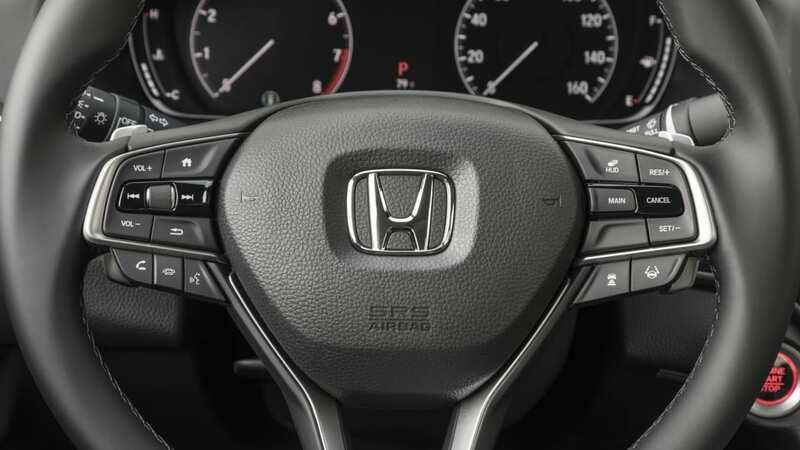 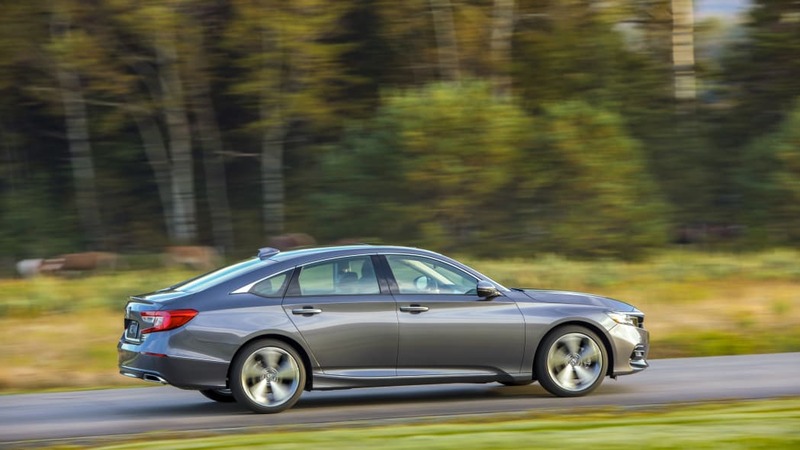 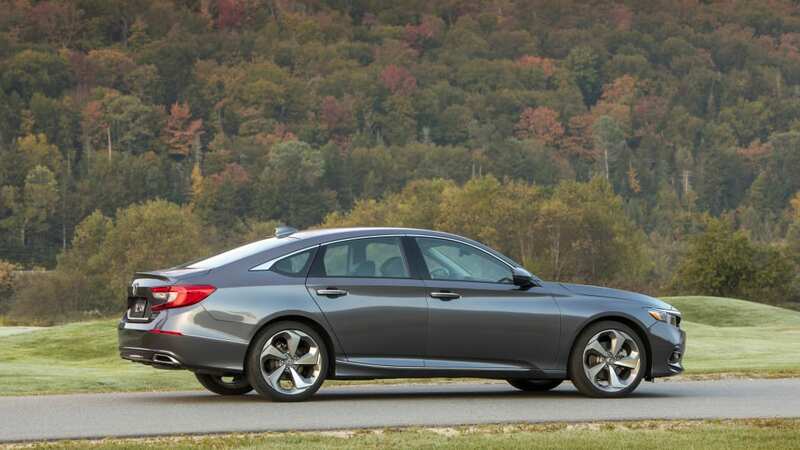 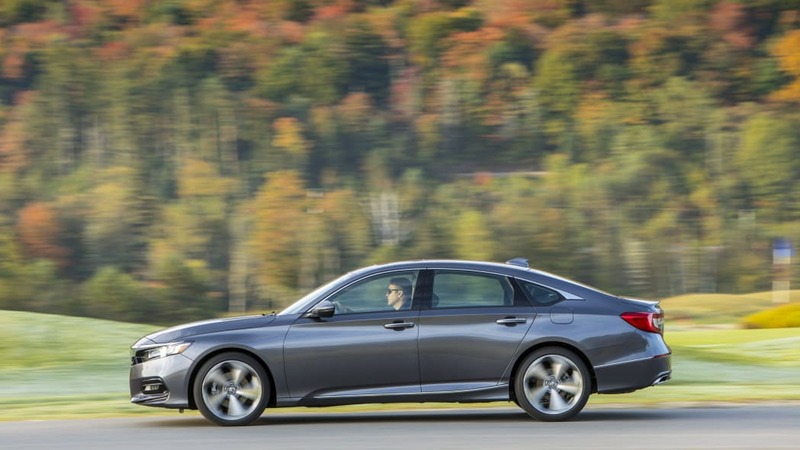 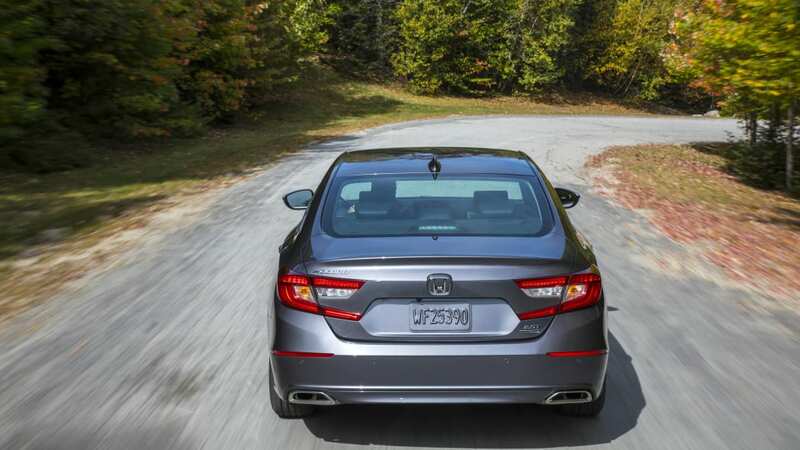 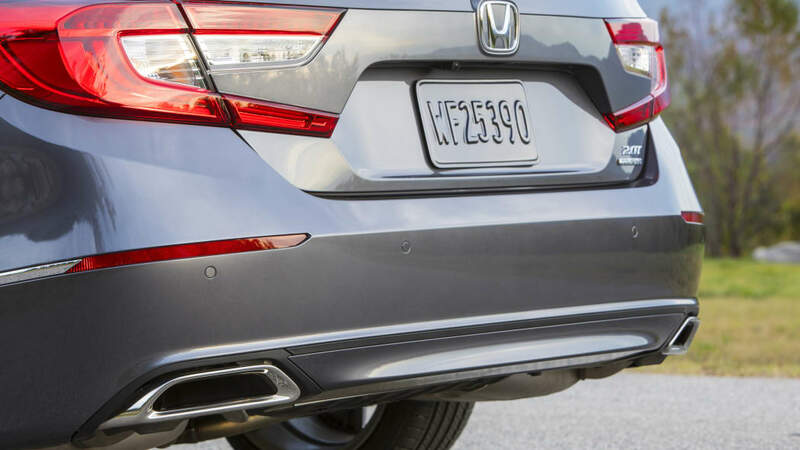 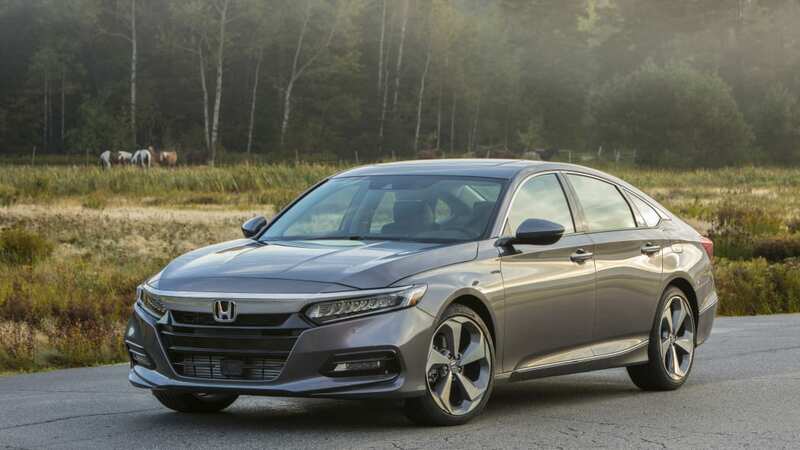 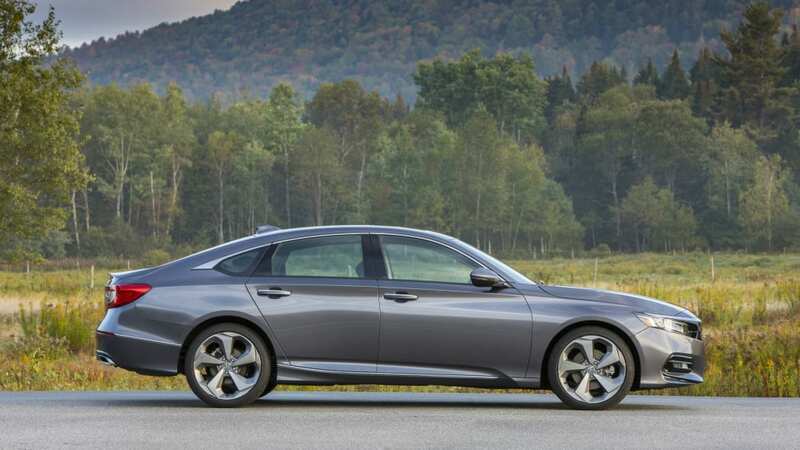 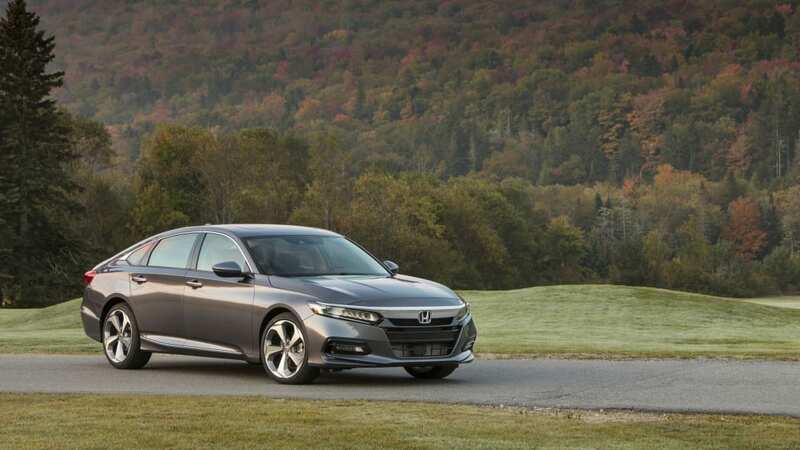 Its output essentially matches the Accord's new 2.0-liter. 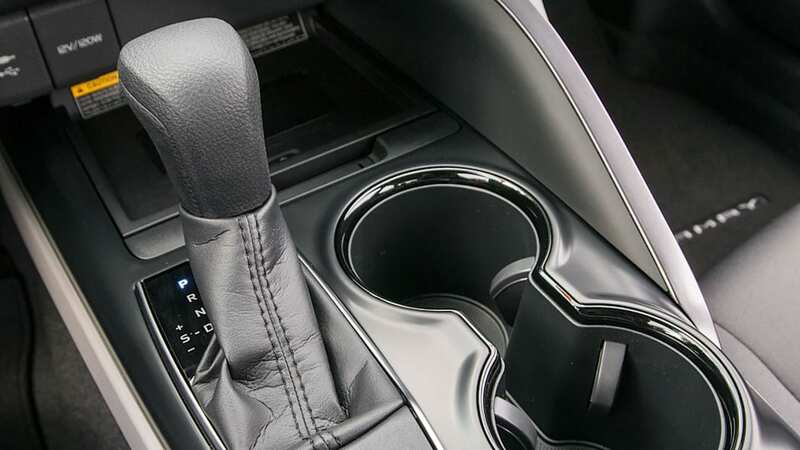 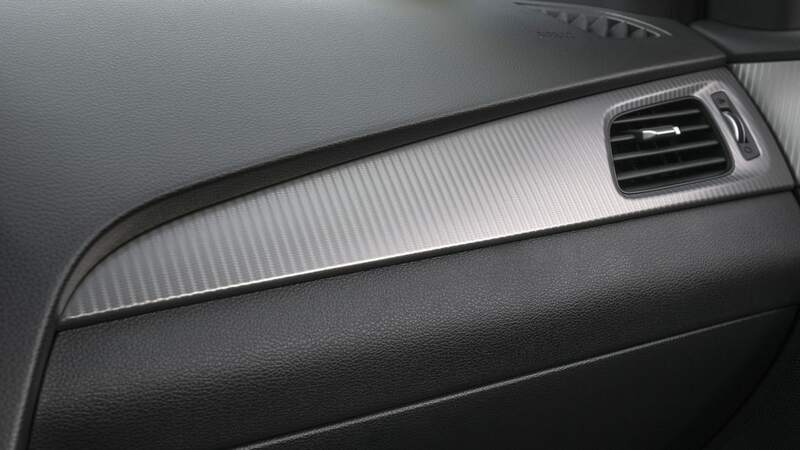 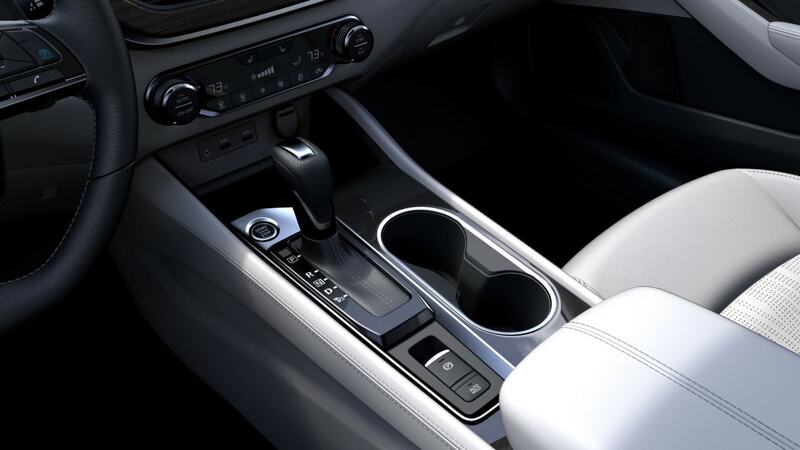 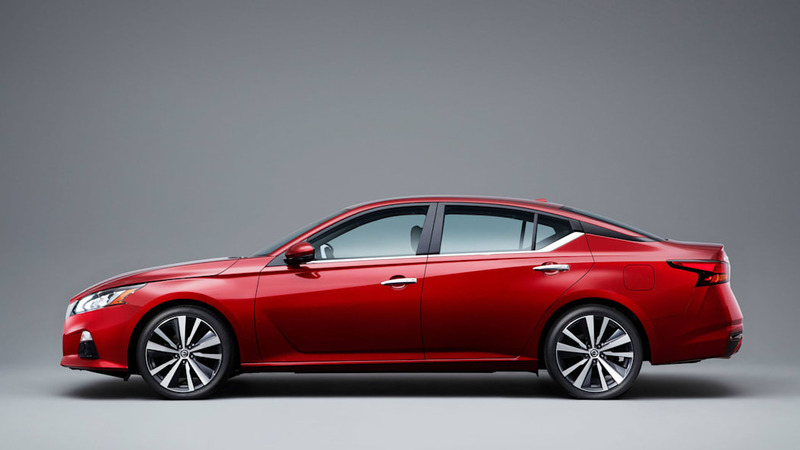 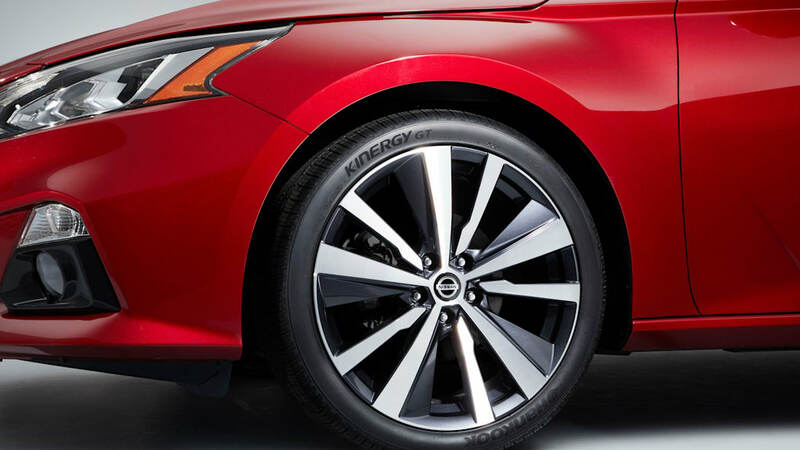 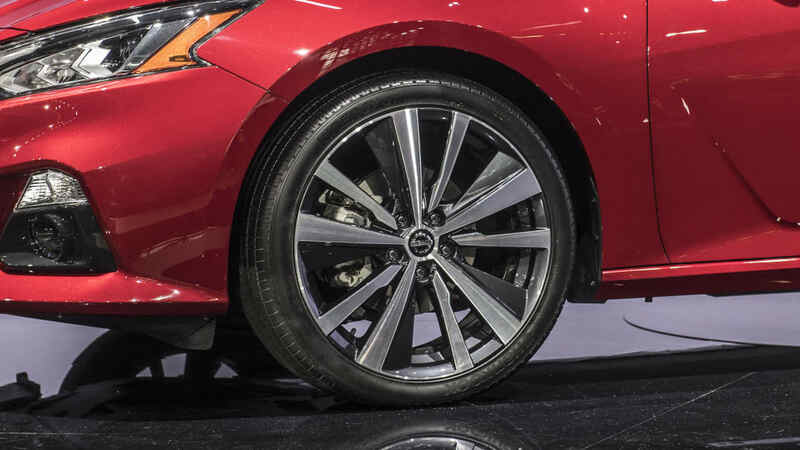 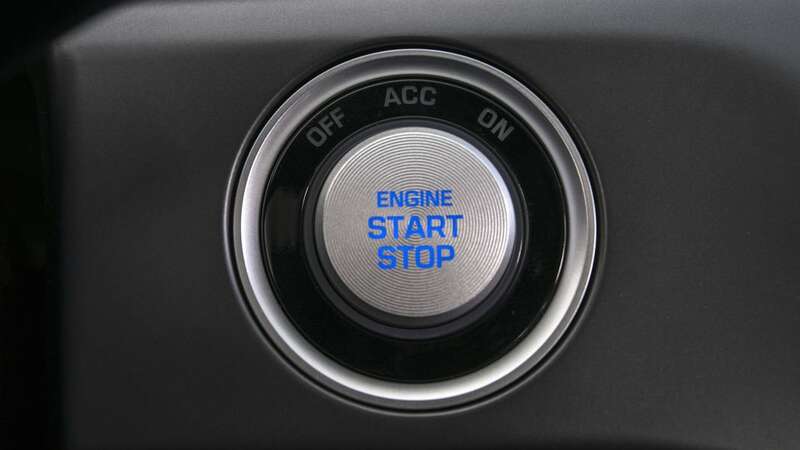 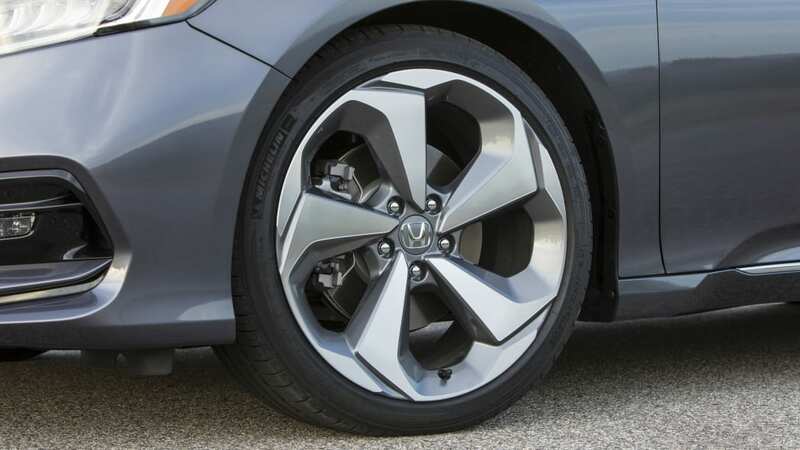 Unlike the Accord, though, every Altima has a CVT standard. 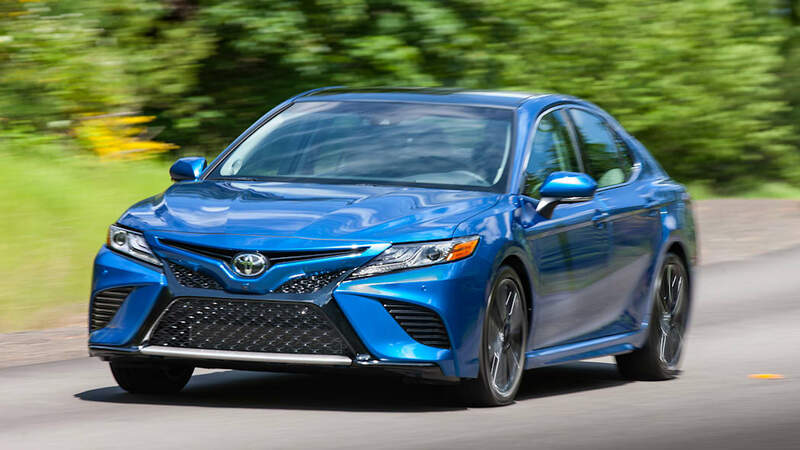 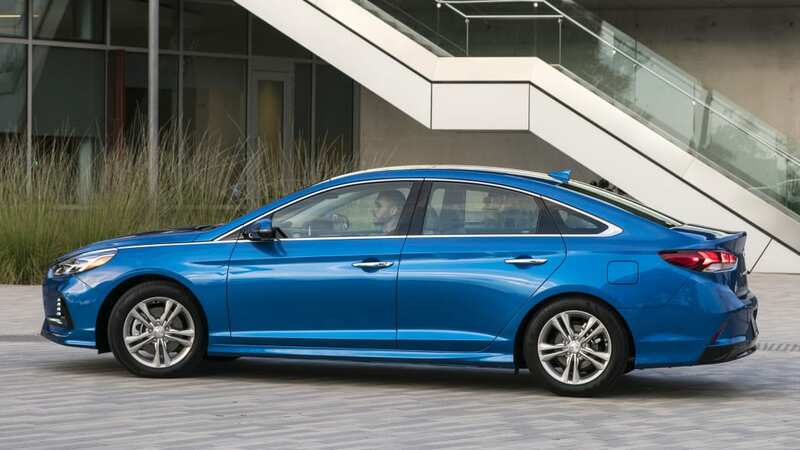 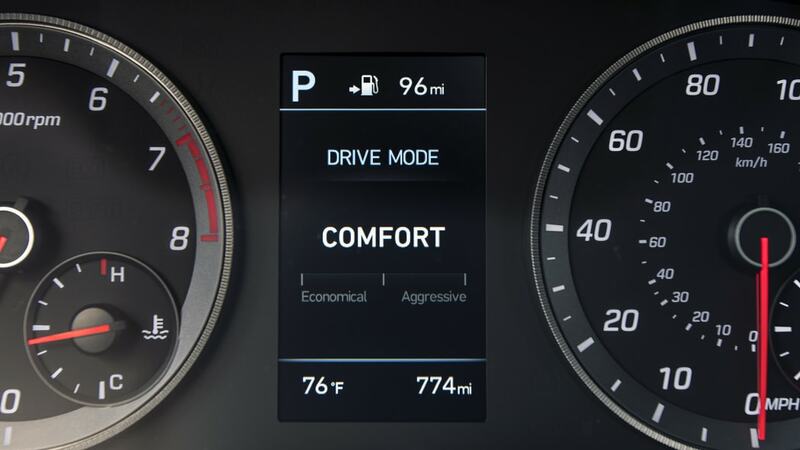 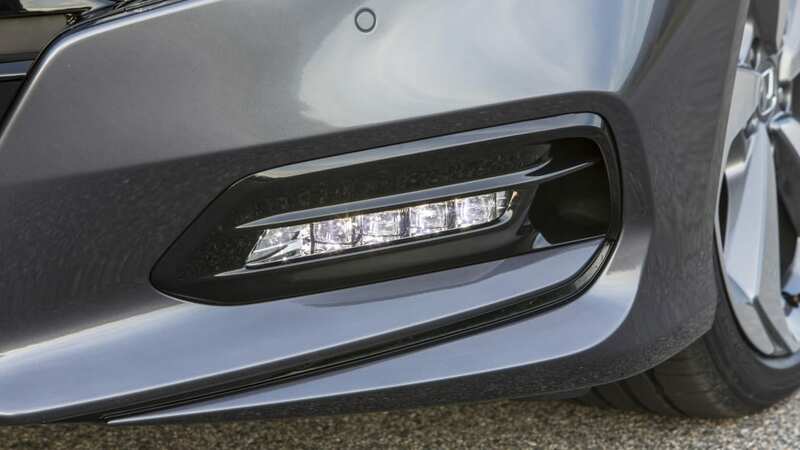 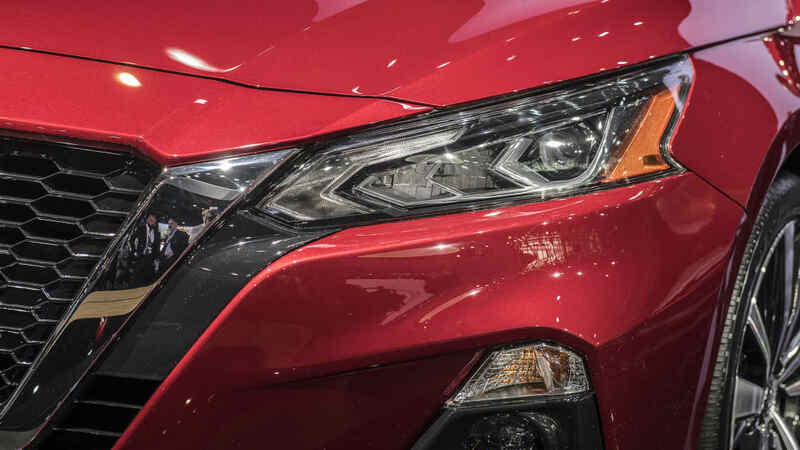 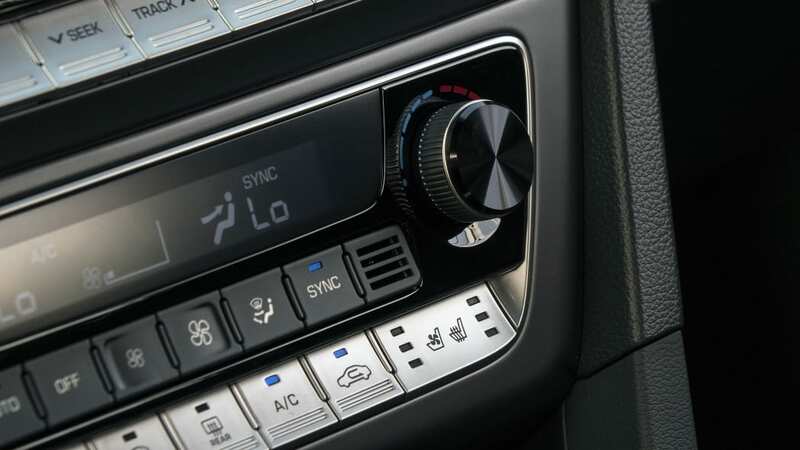 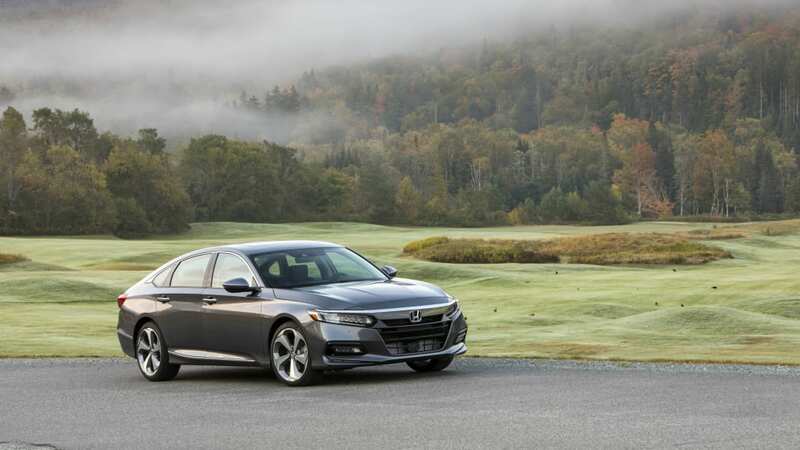 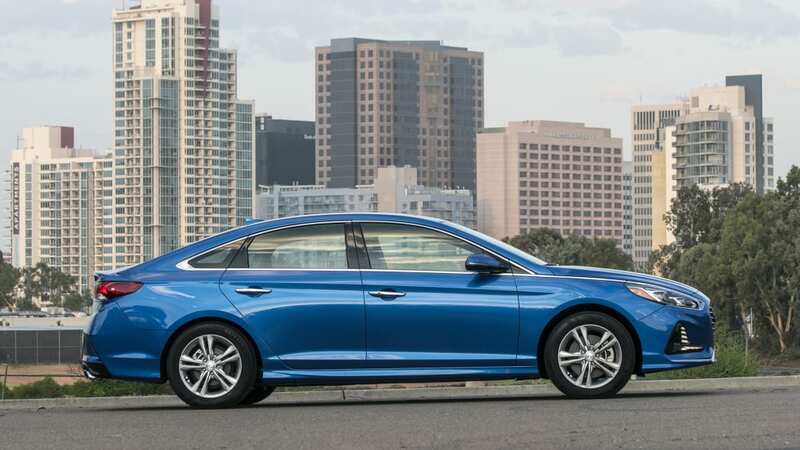 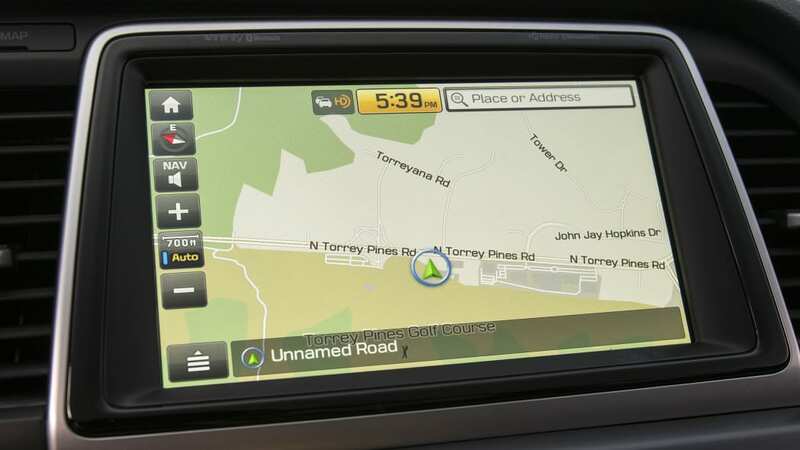 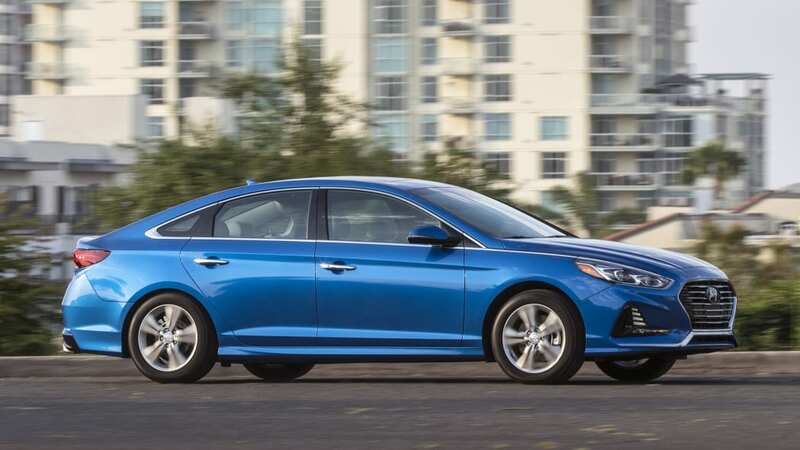 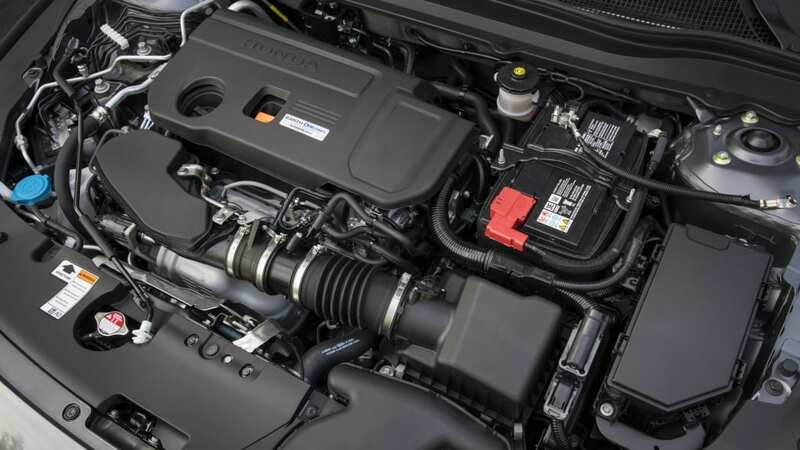 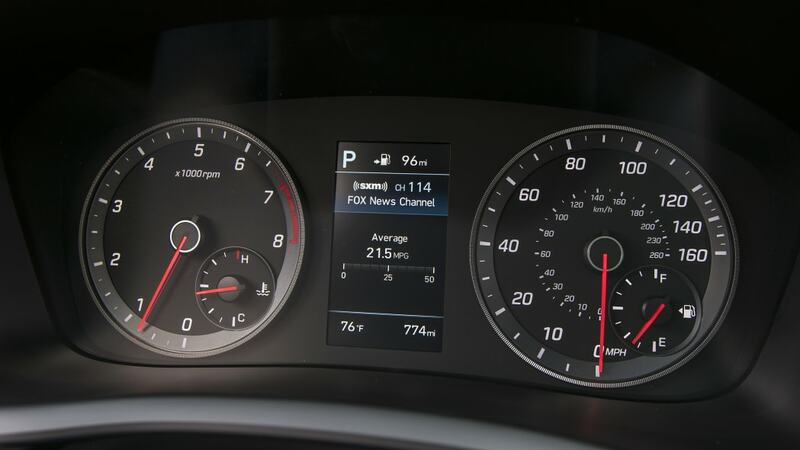 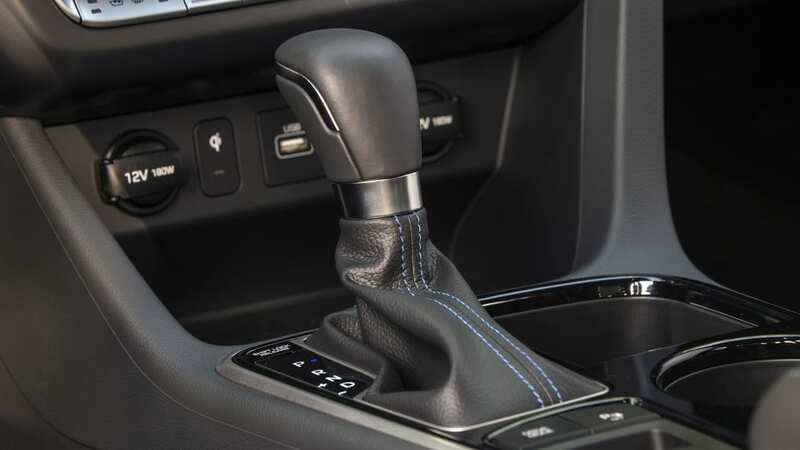 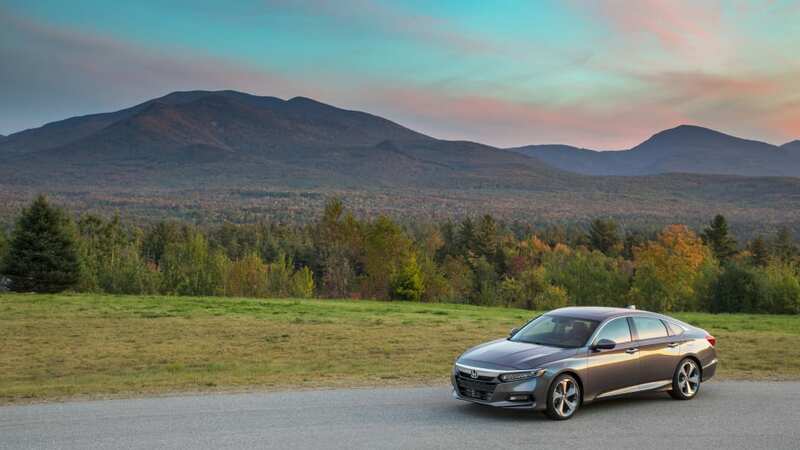 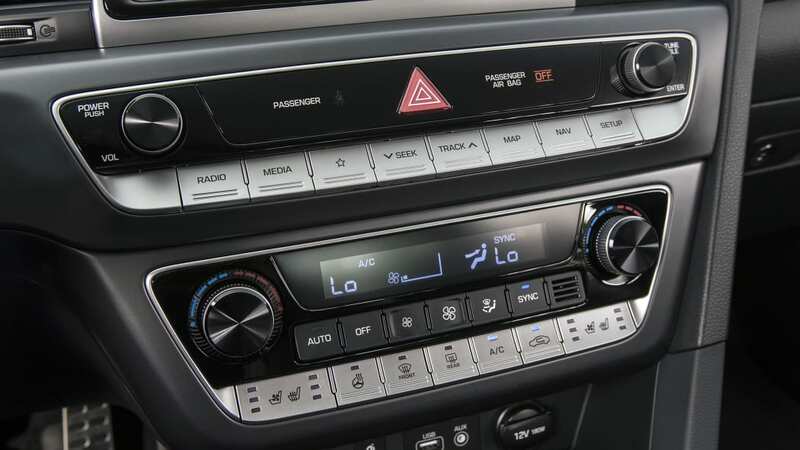 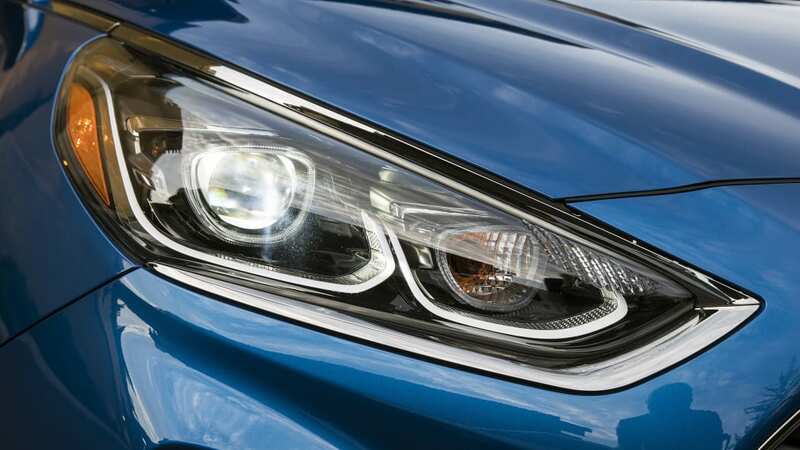 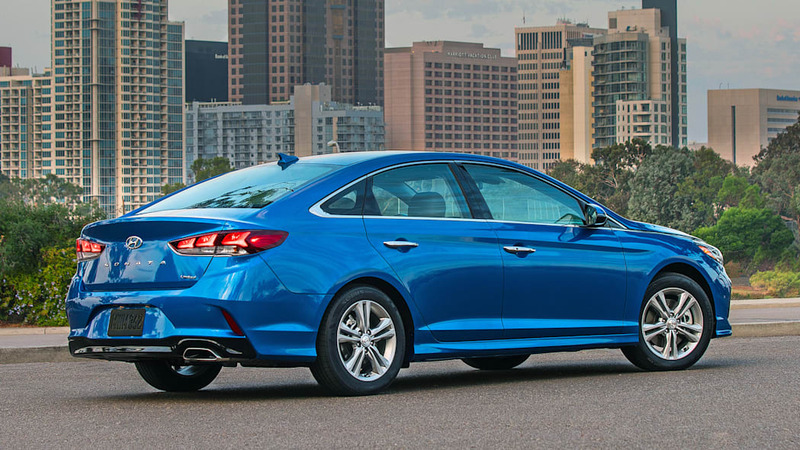 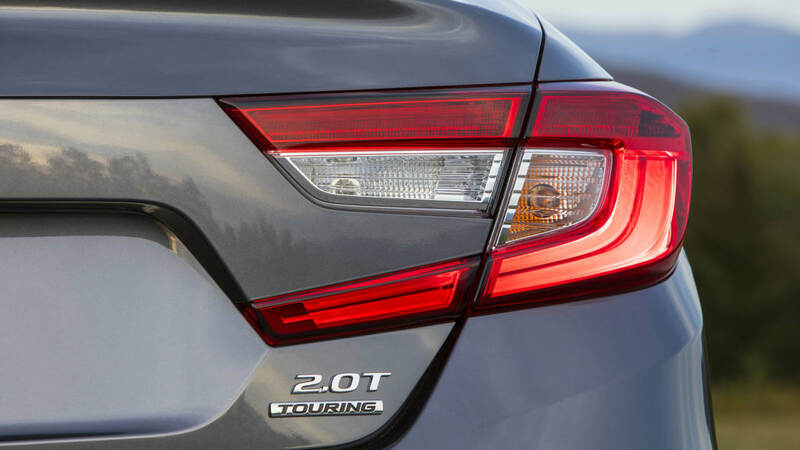 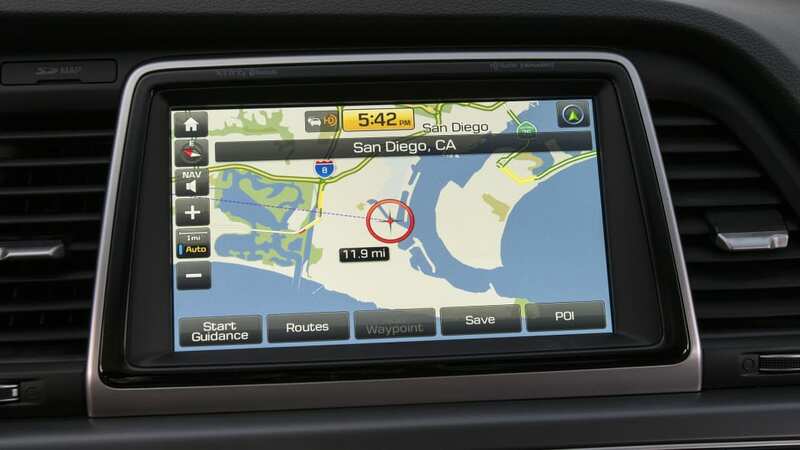 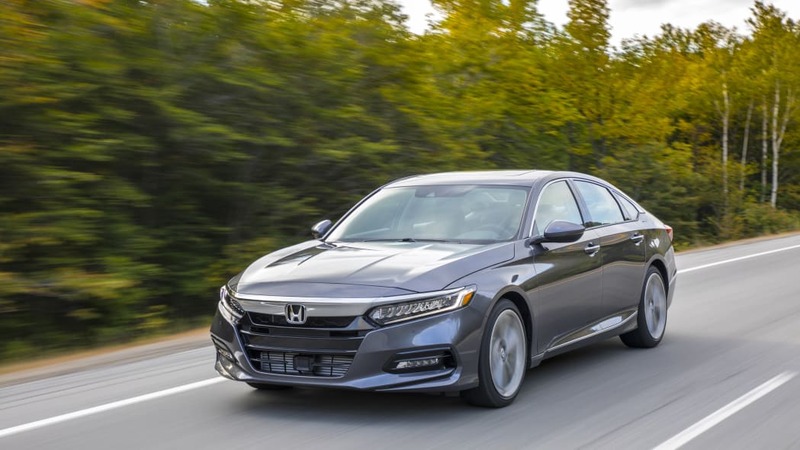 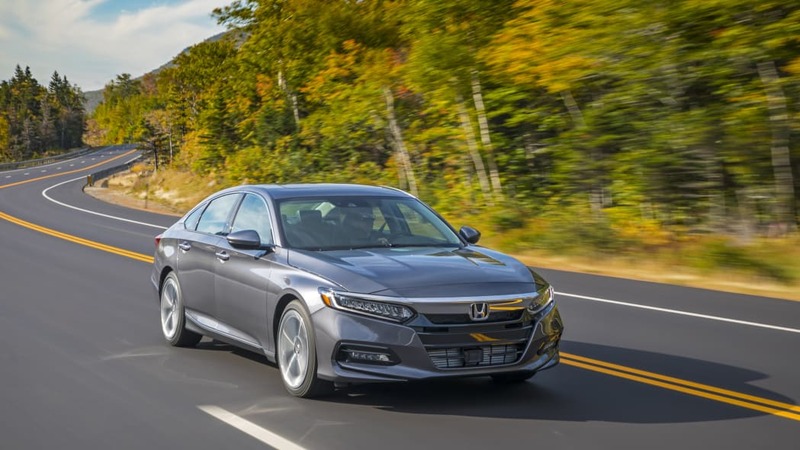 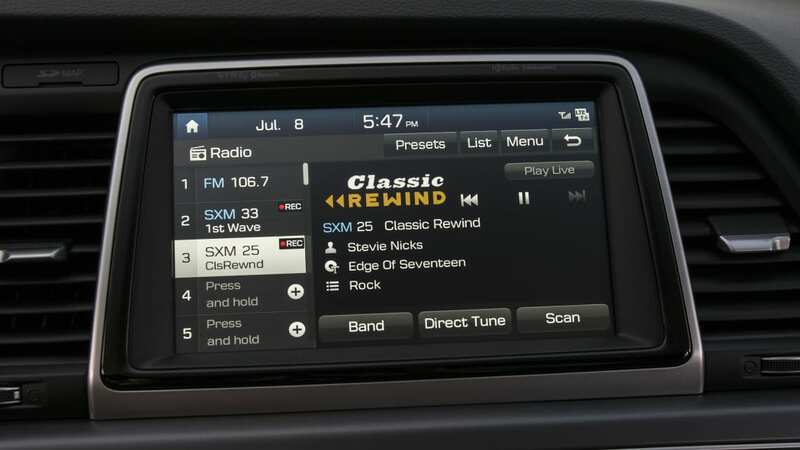 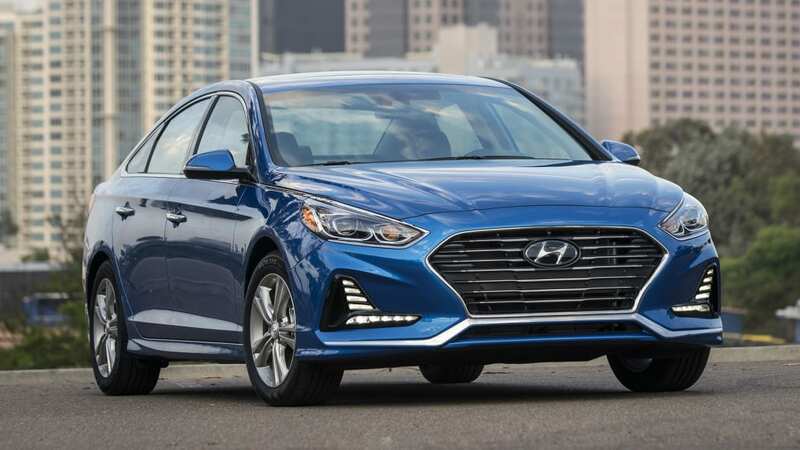 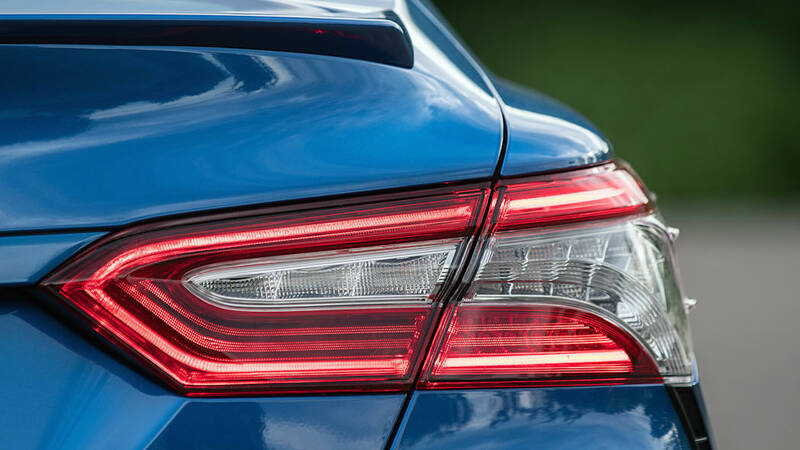 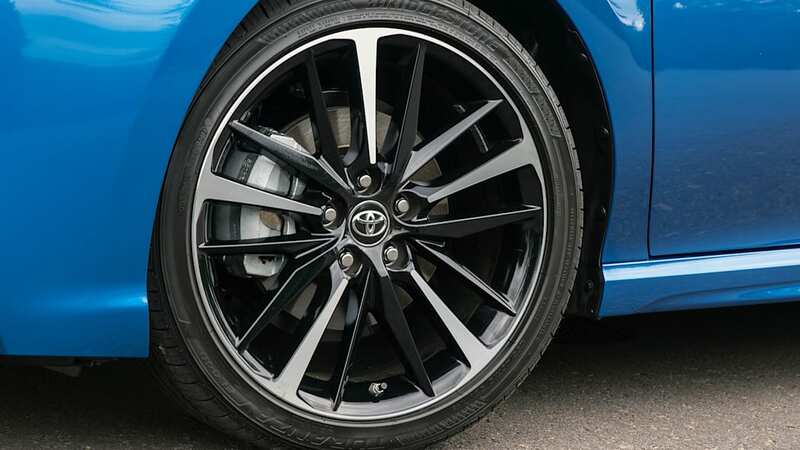 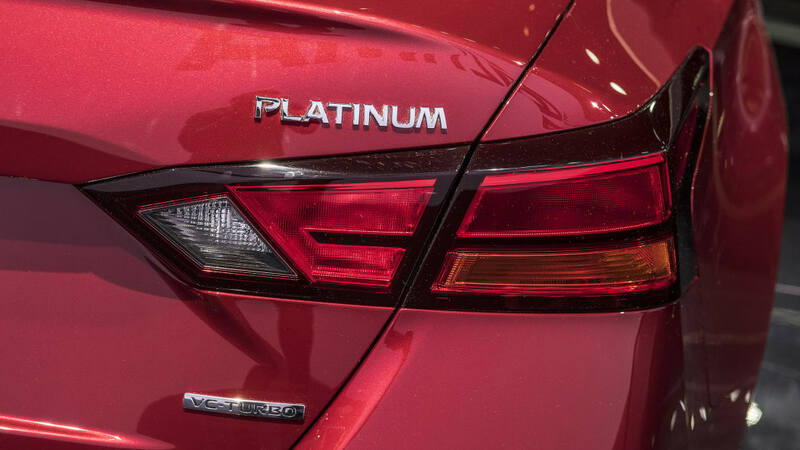 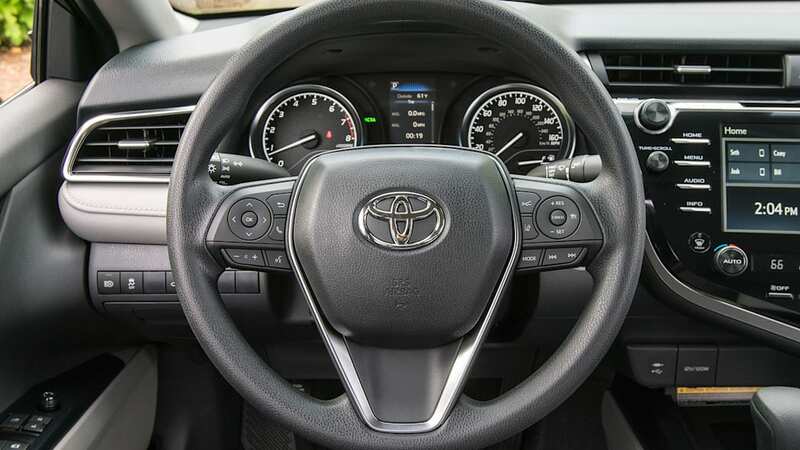 The Camry and Sonata have traditional automatics – many would say they are better for it – though the Hyundai's gear count differs by engine selection. 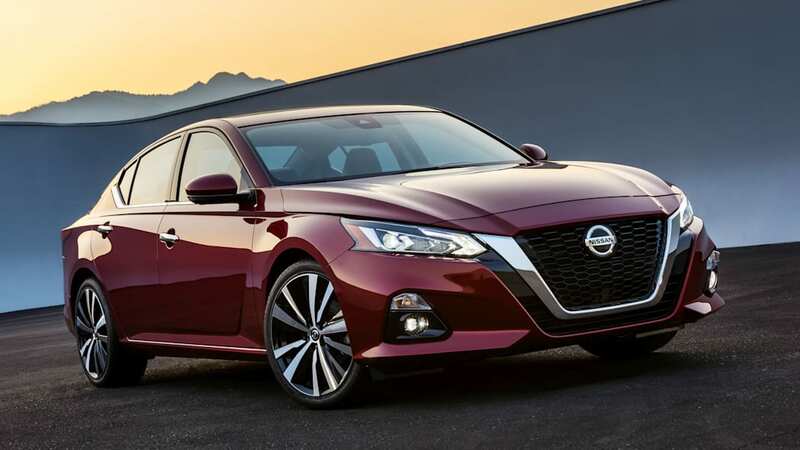 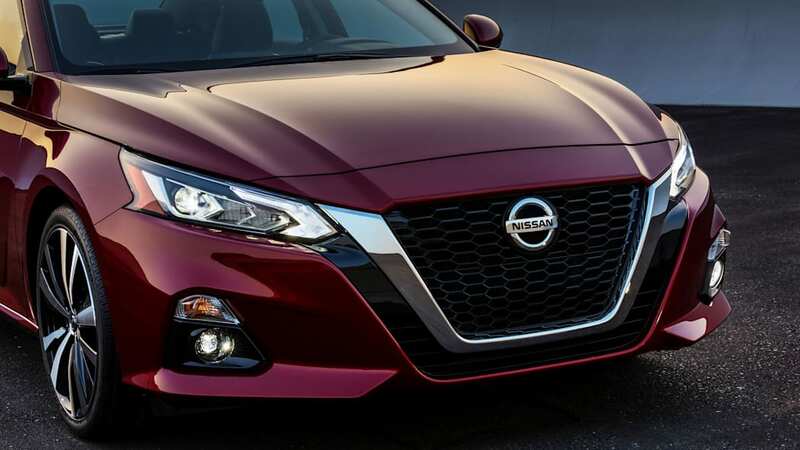 Nissan didn't release fuel economy figures for the 2019 Altima. 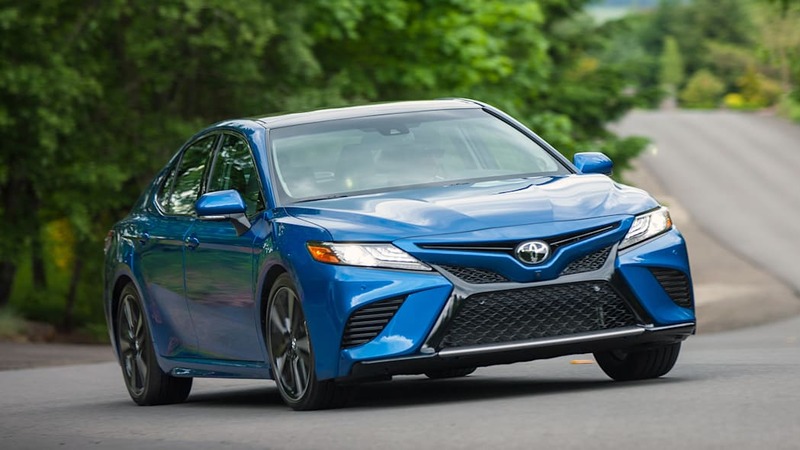 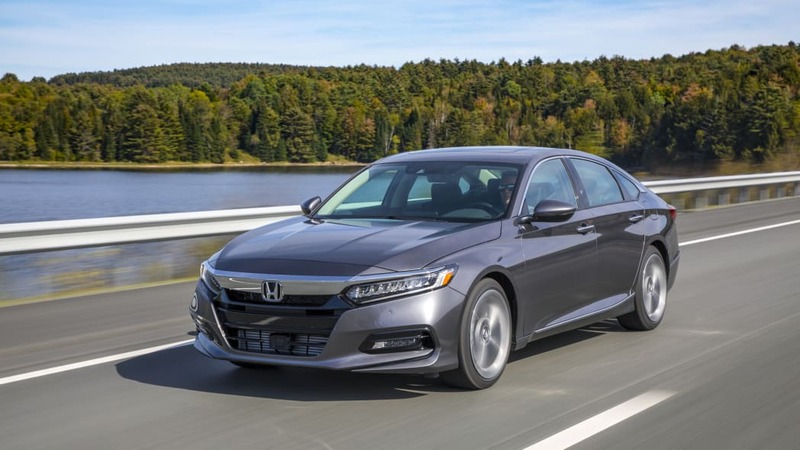 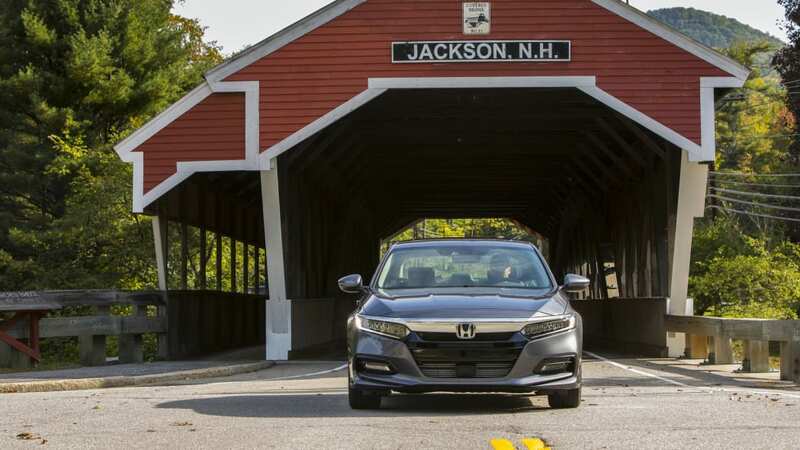 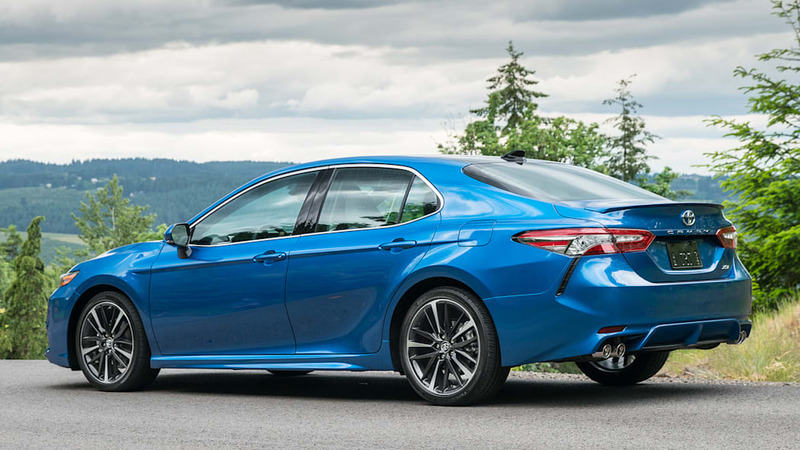 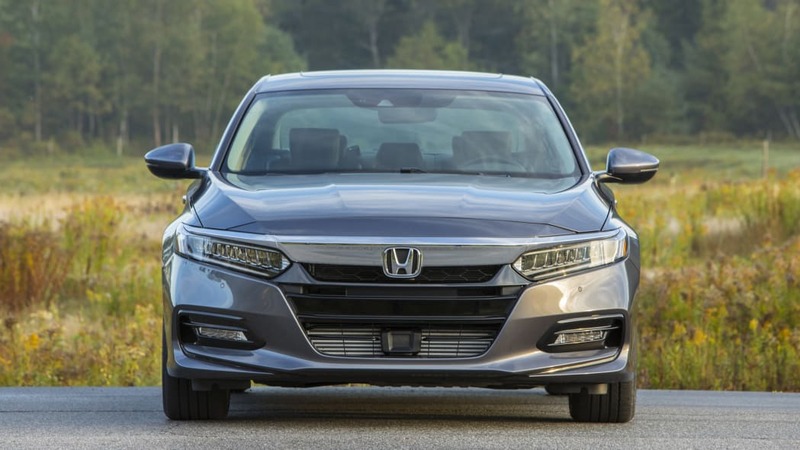 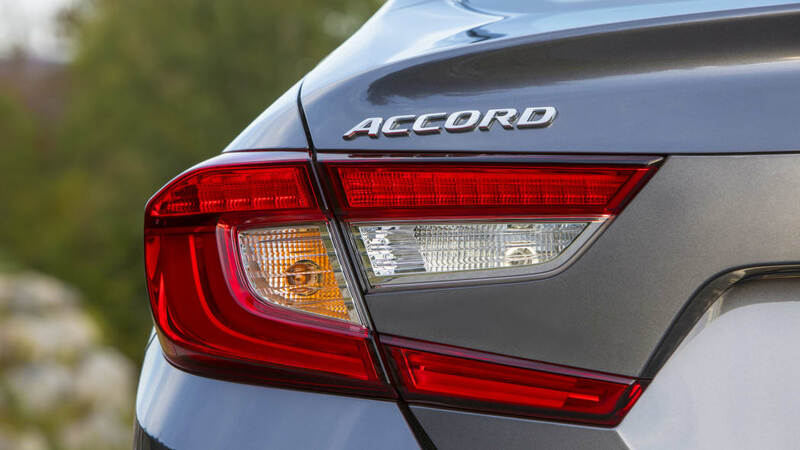 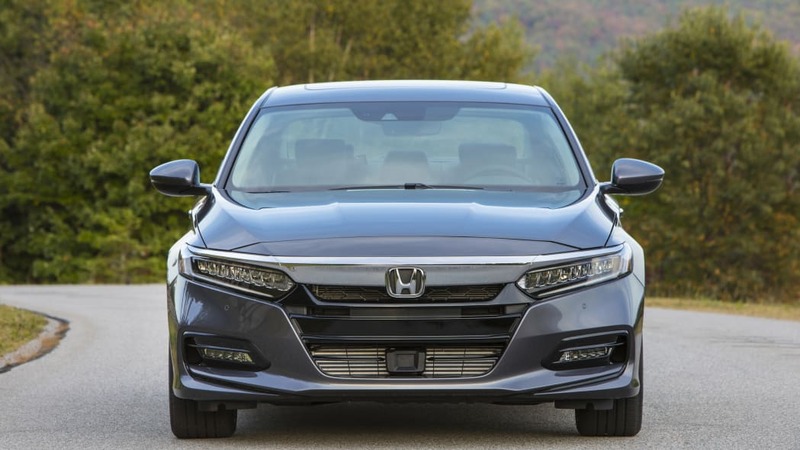 The previous generation trailed the latest Accord and Camry by 2-3 mpg combined, according to EPA estimates. 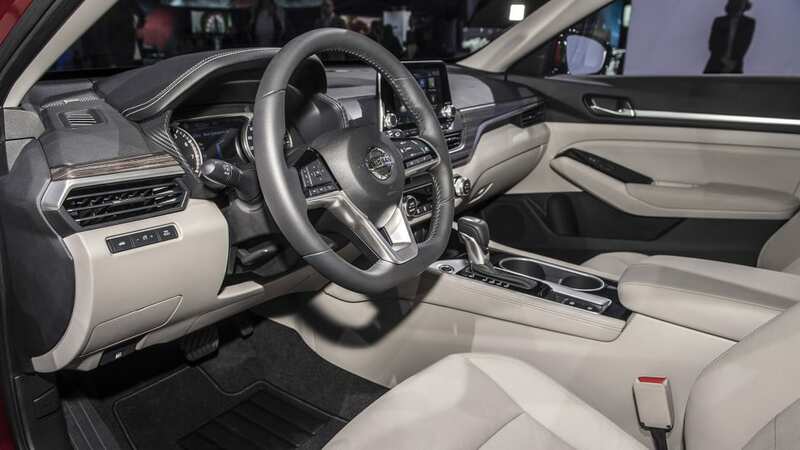 Nissan's surly men in suits were quite cross when we tried to get into the new Altima, so we can only comment on the interior space in spec format. 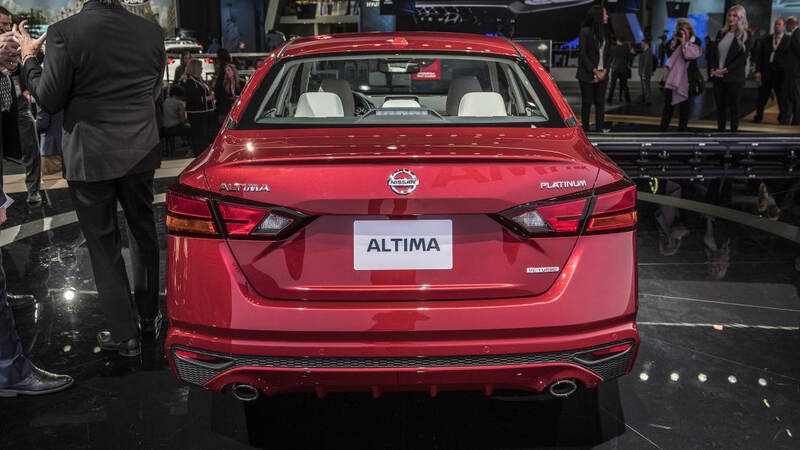 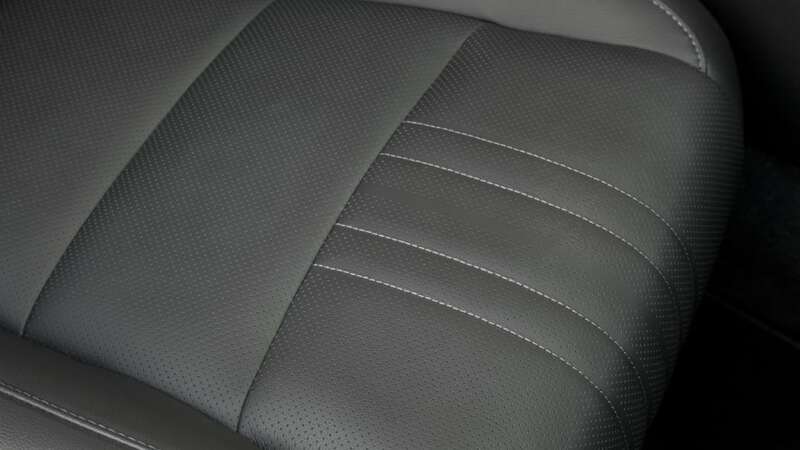 As it is, the new Altima actually has less head- and legroom than before. 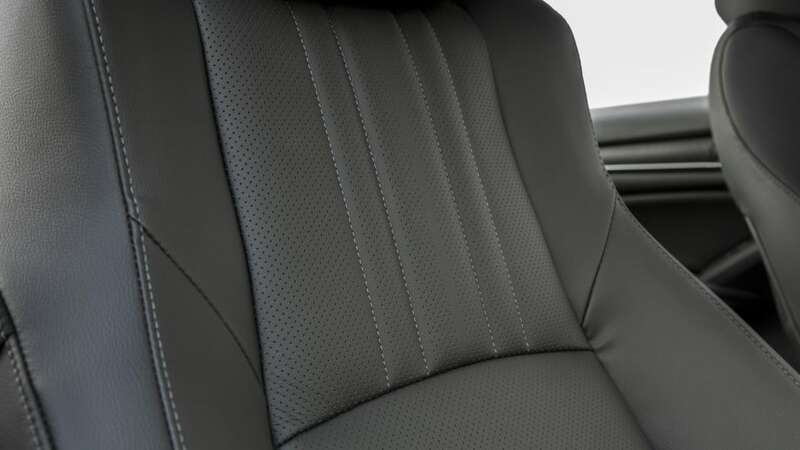 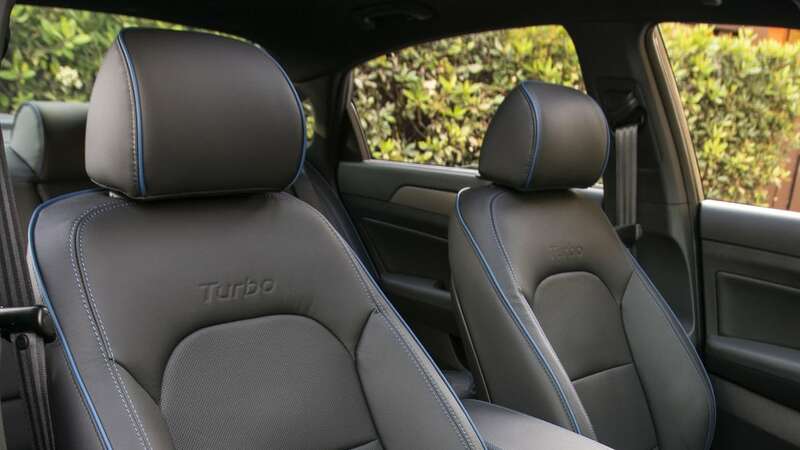 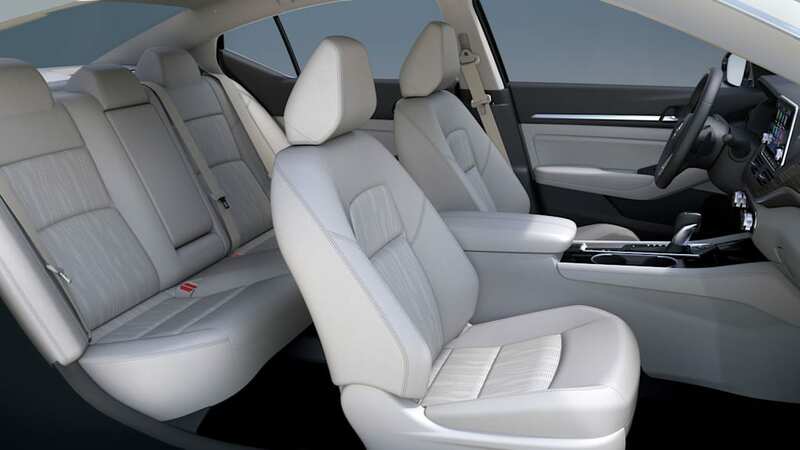 There's more shoulder room, though, so your local linebacker will be happy. 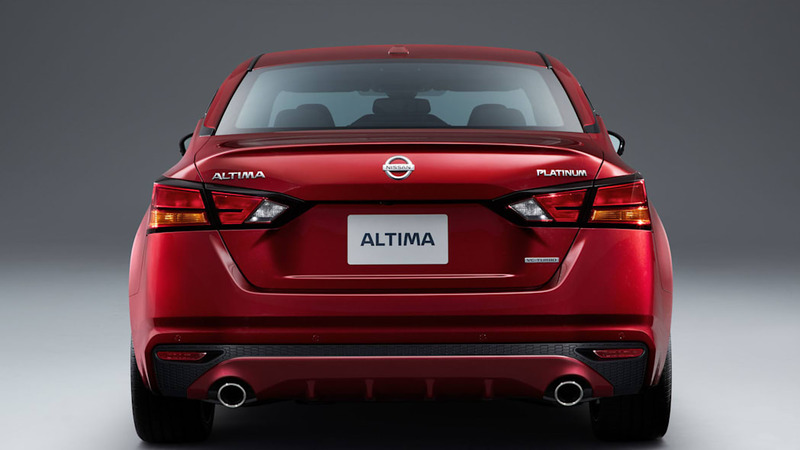 The new Altima also has a smidge less headroom than its competitors and substantially less rear legroom. 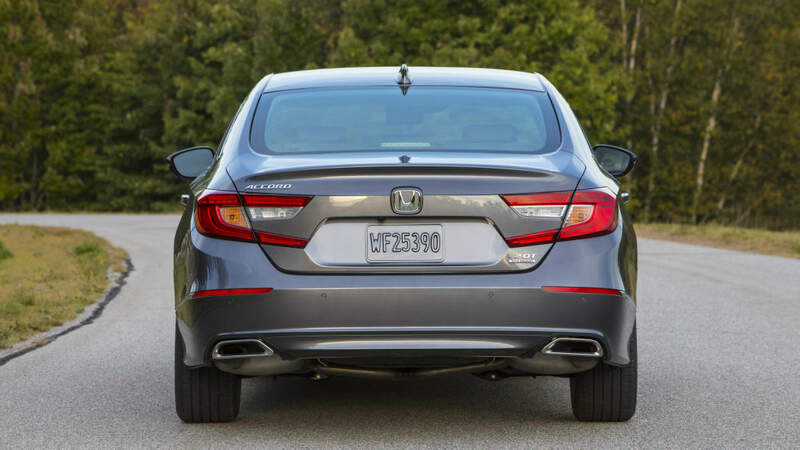 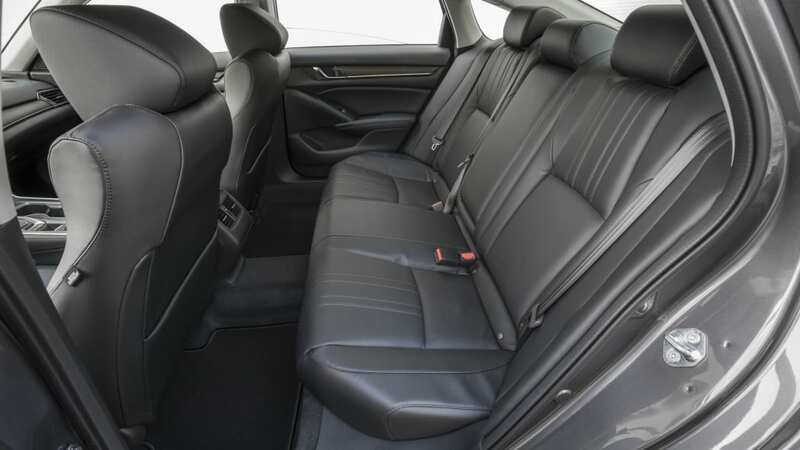 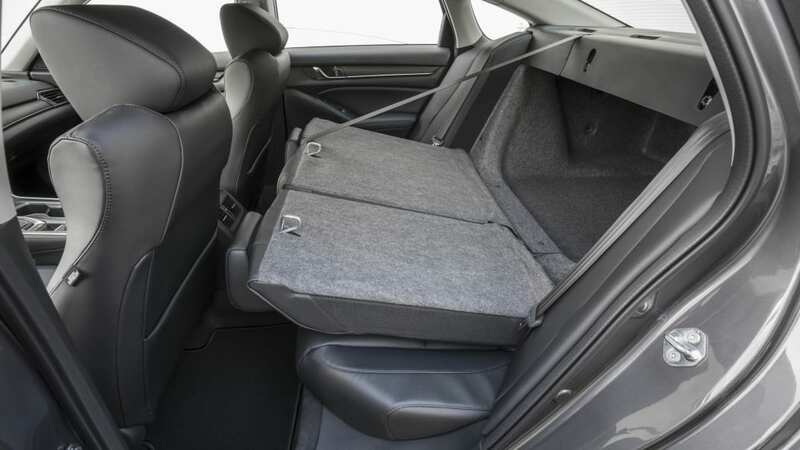 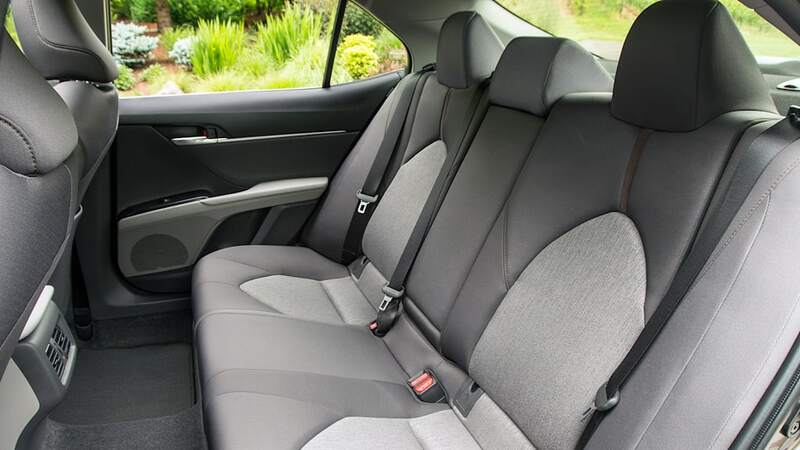 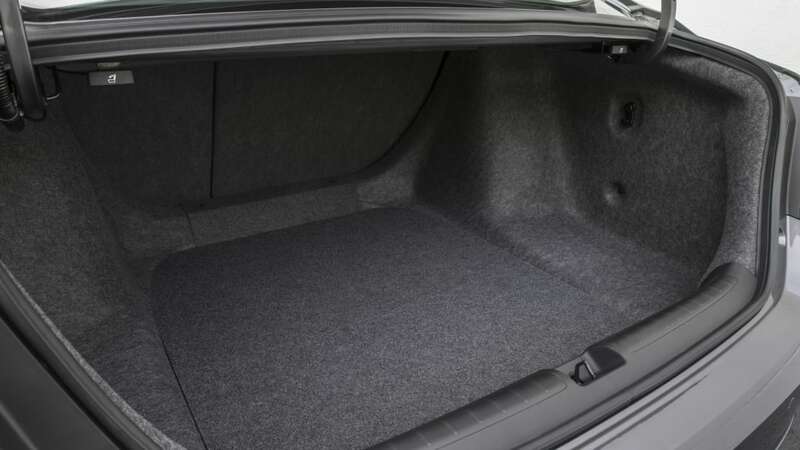 According to the figures, it has 5 fewer inches of rear legroom than the new Accord. 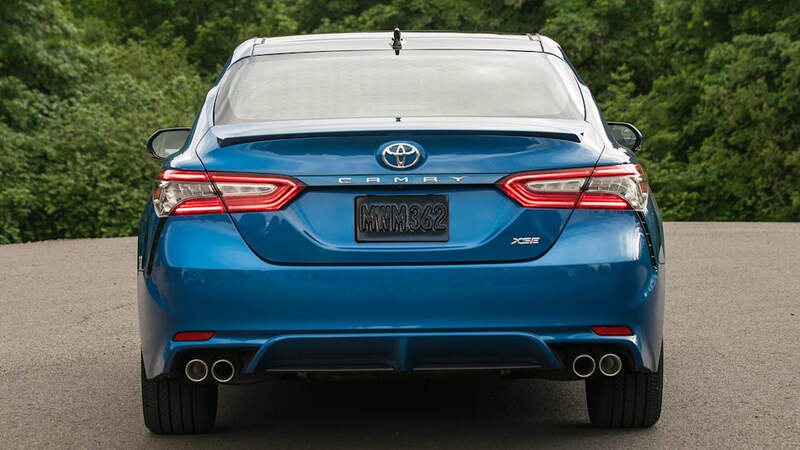 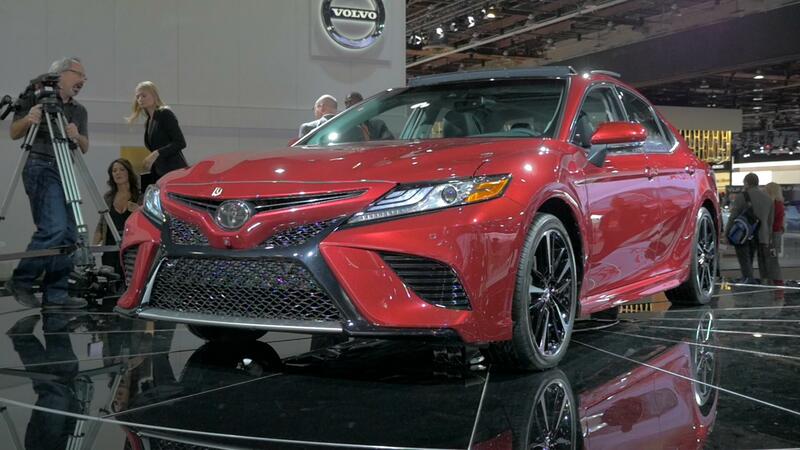 There's 3 inches less than a Camry. 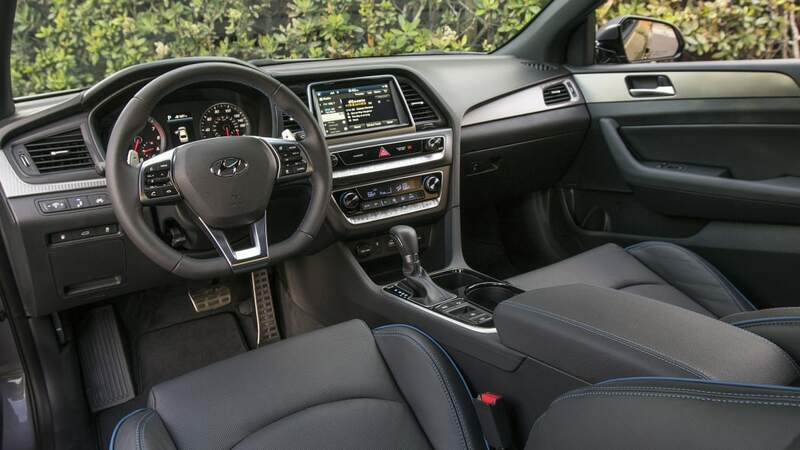 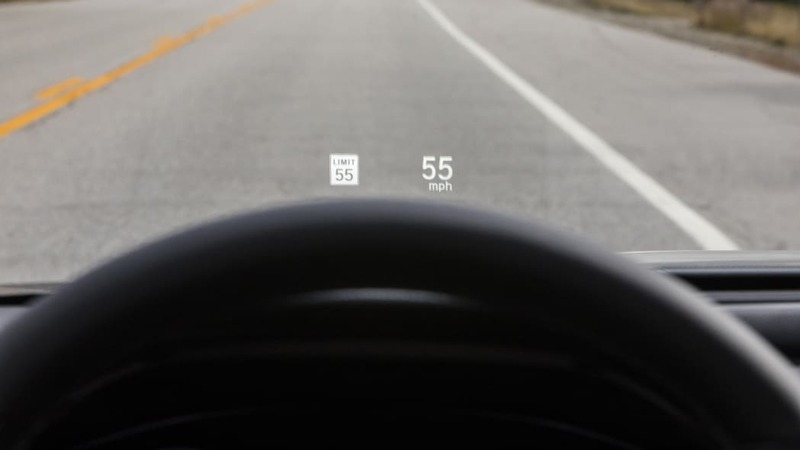 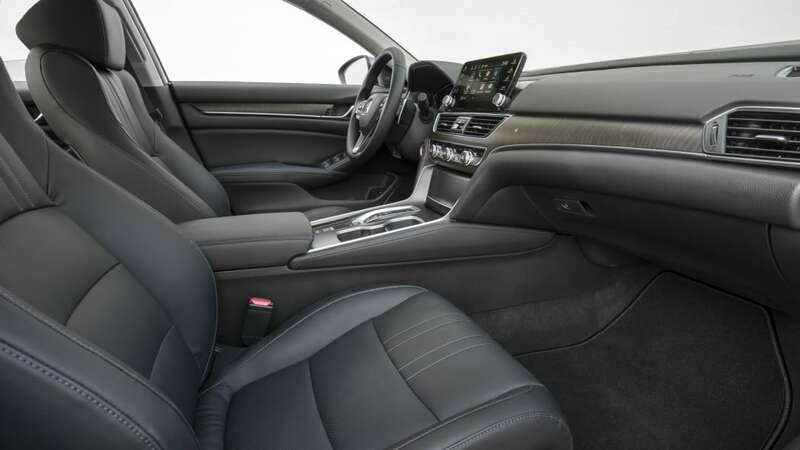 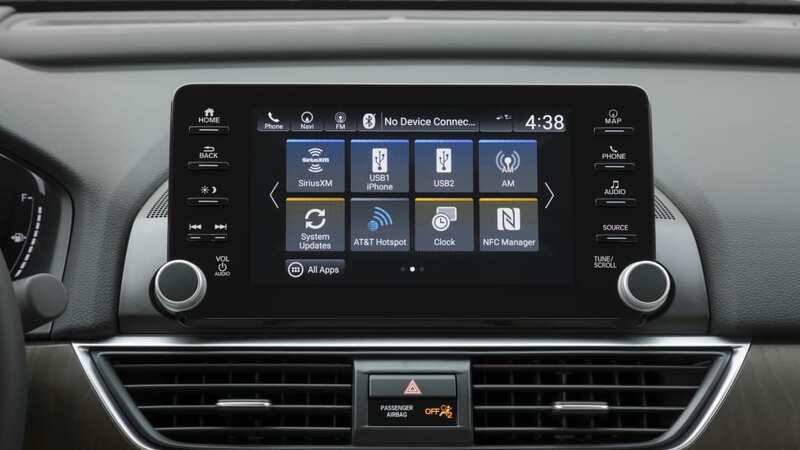 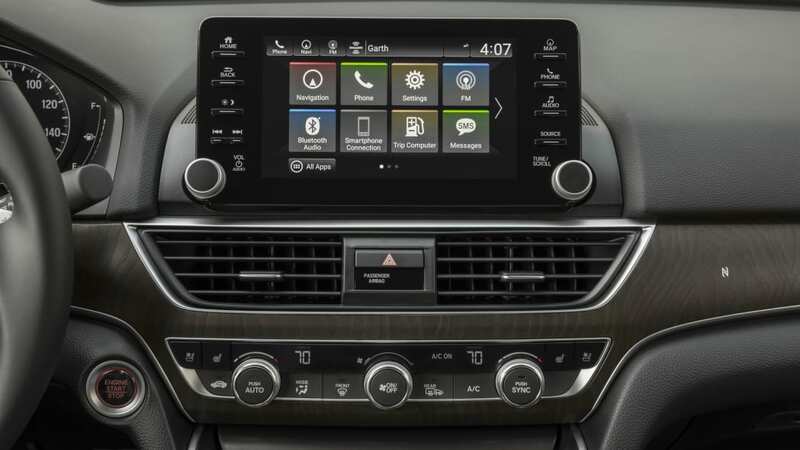 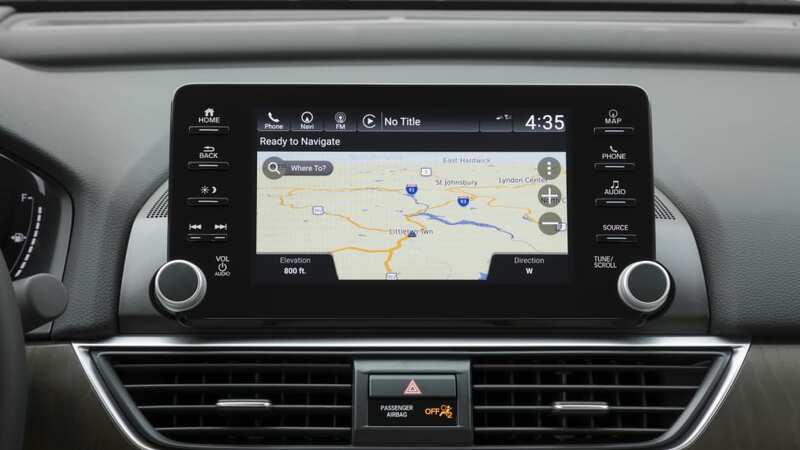 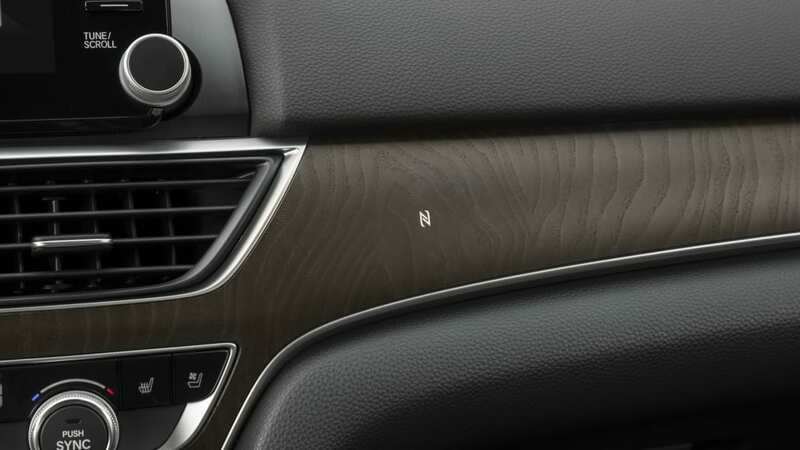 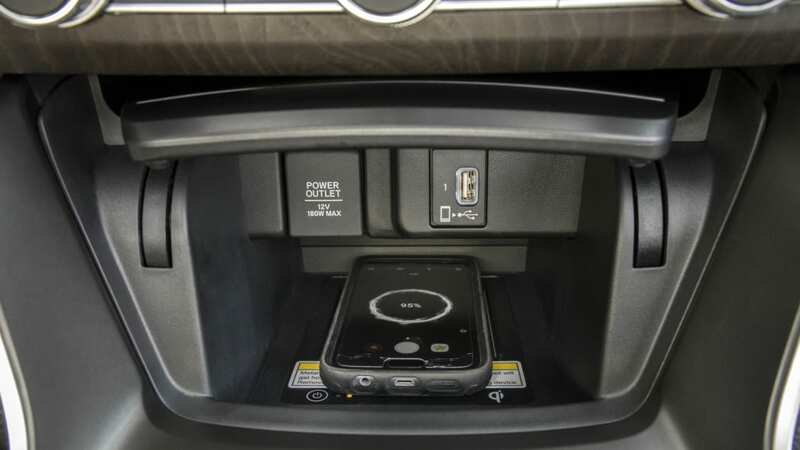 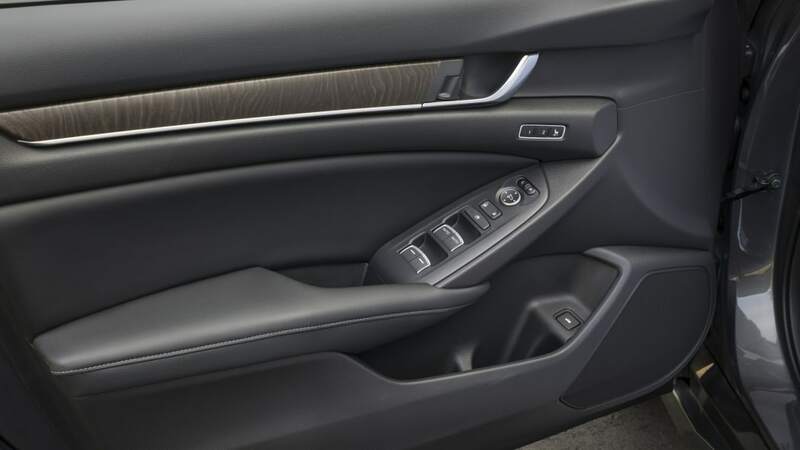 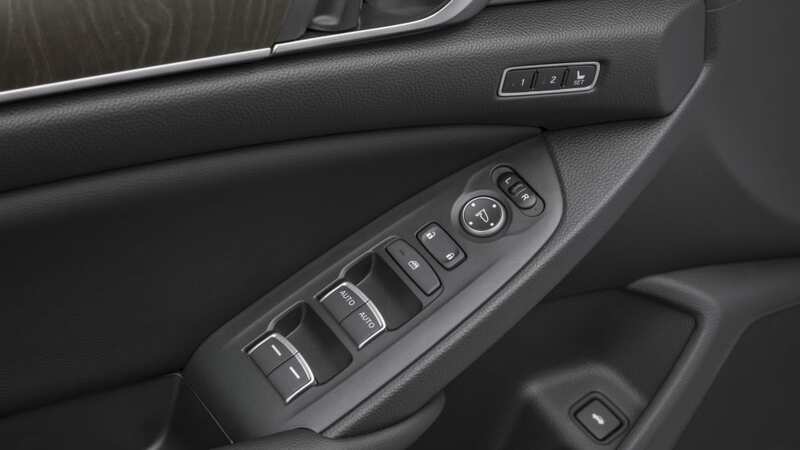 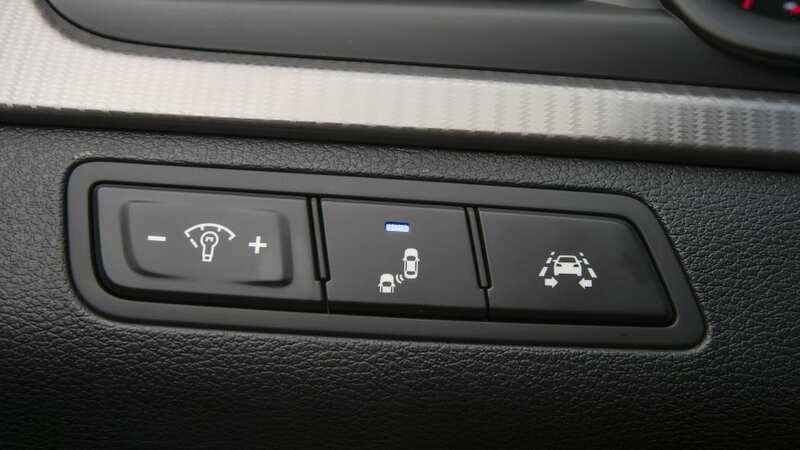 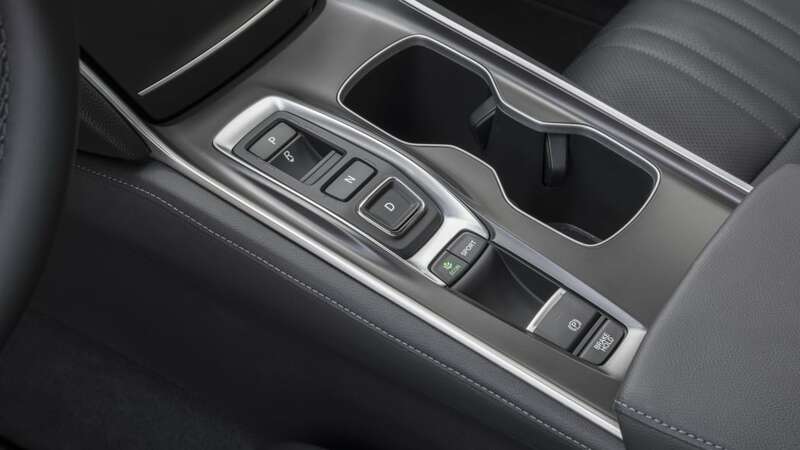 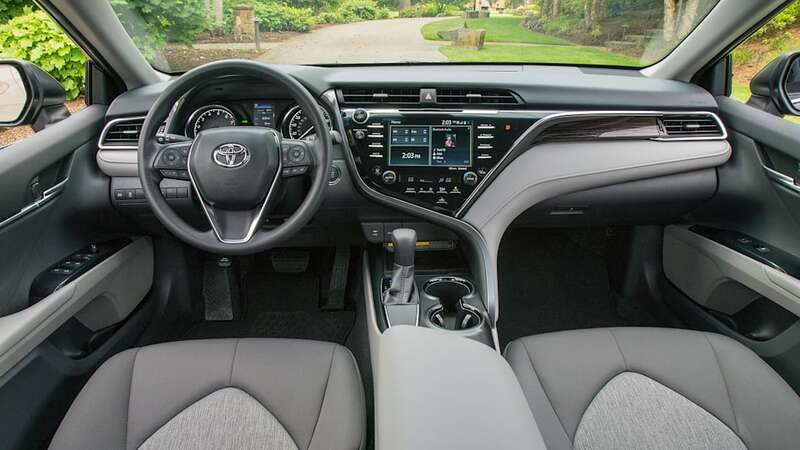 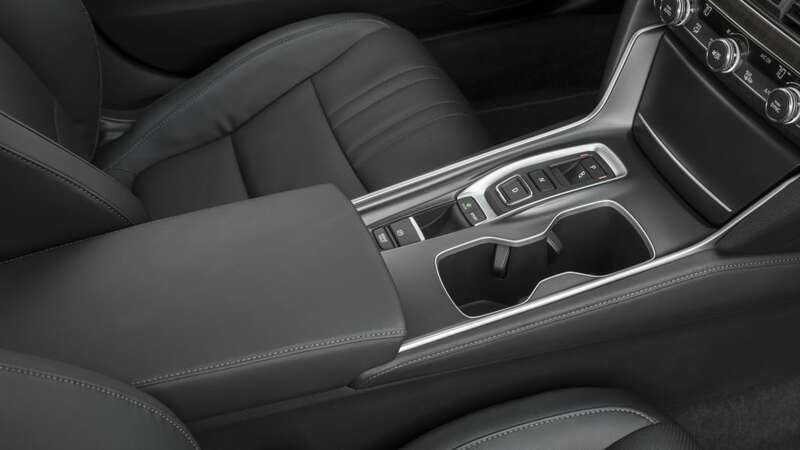 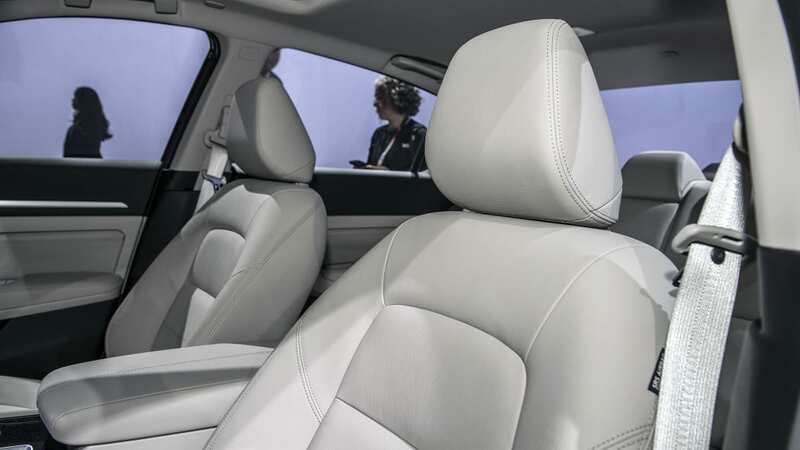 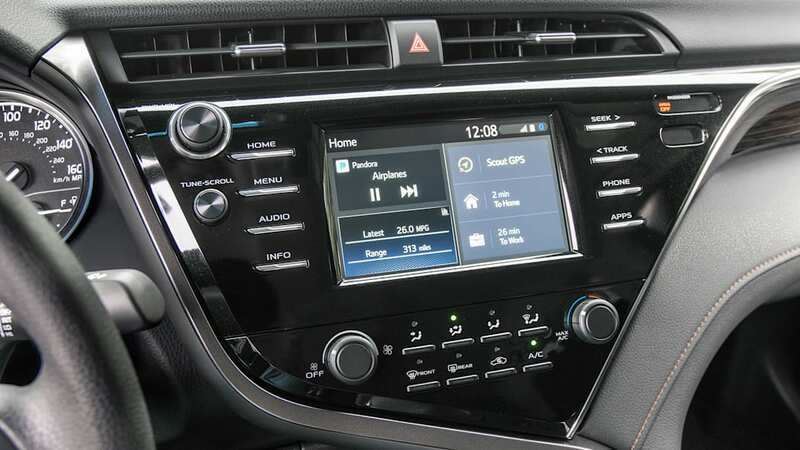 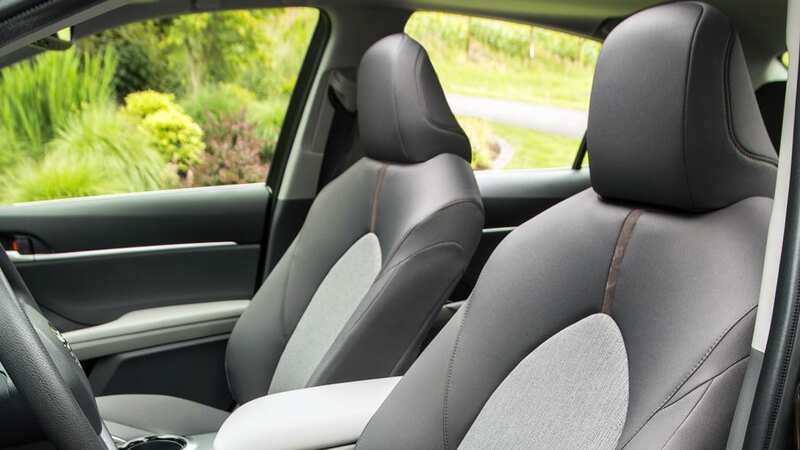 Now, it's important to note that different car companies can do interior measurements differently, and the Altima's specs show more legroom in the front than the Accord and Camry, resulting in a Gala Apples to Fuji Apples situation. 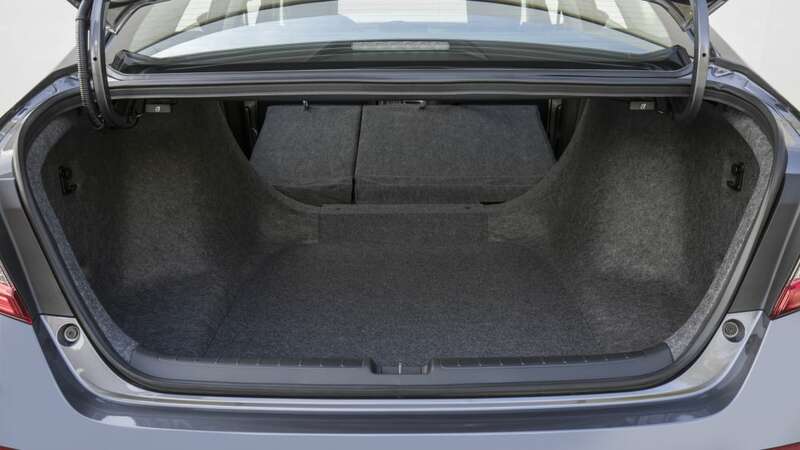 Still, there could be a big-time difference and it would've been nice to get inside. 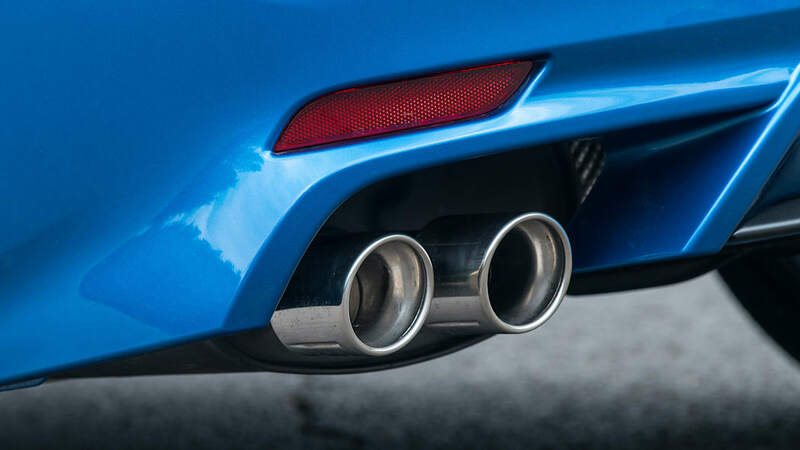 Oh well, there'll be another day in the future.